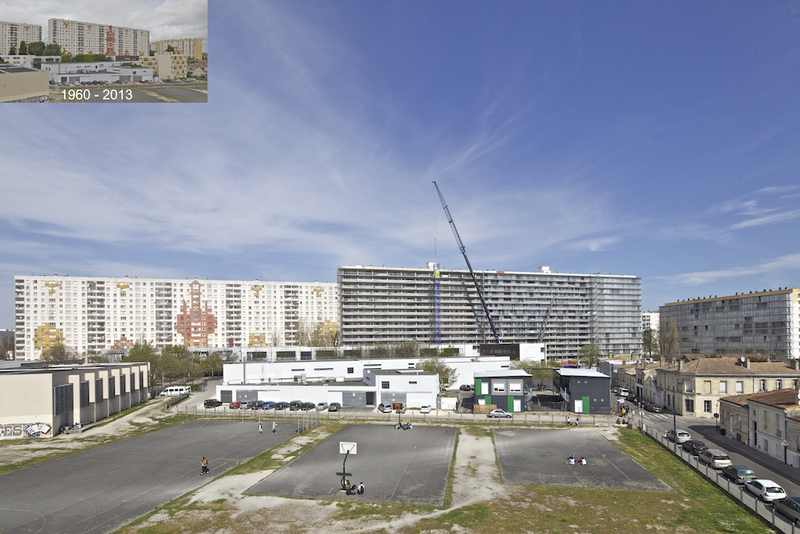 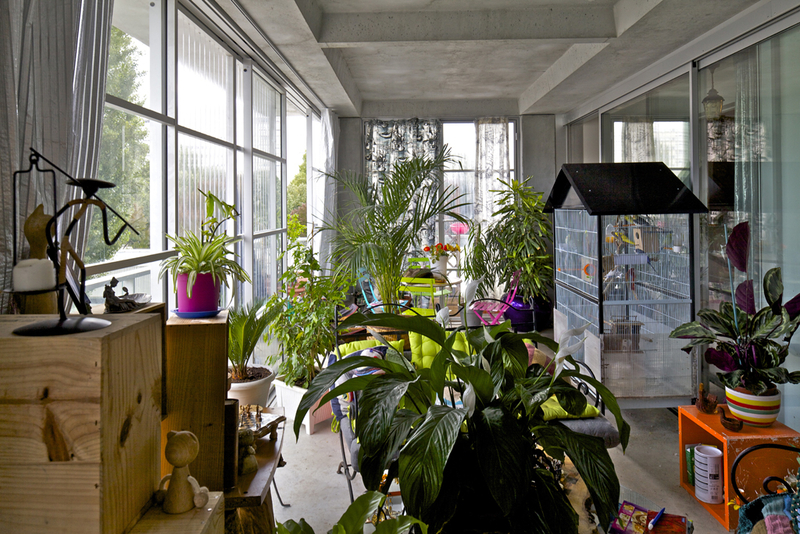 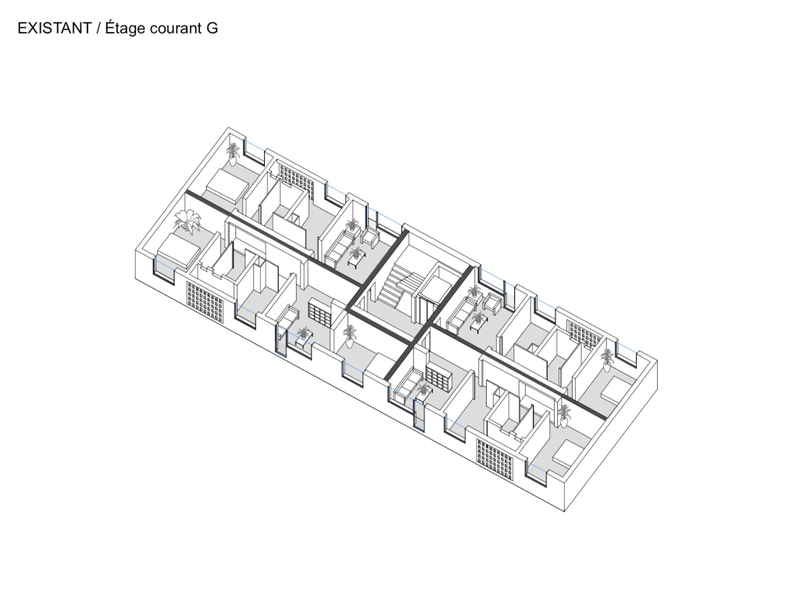 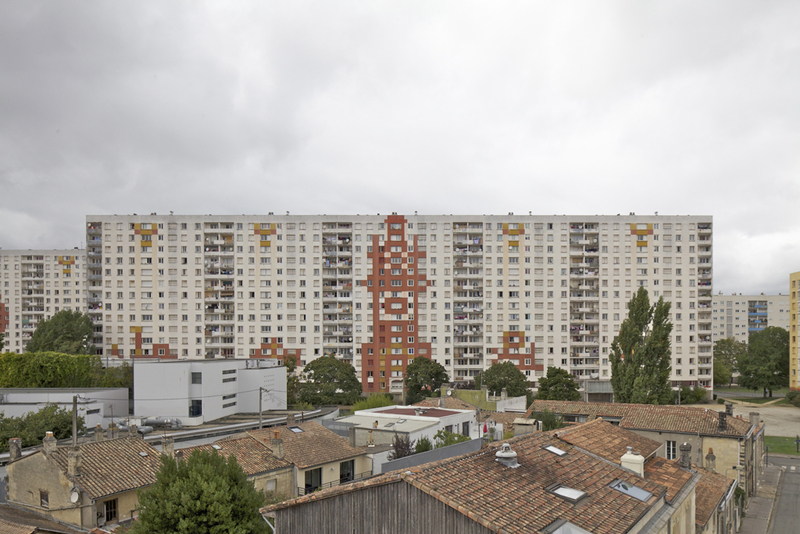 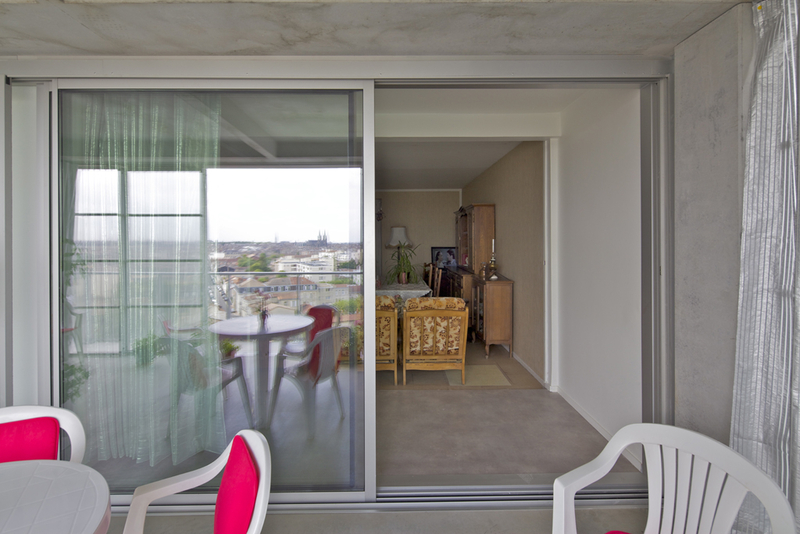 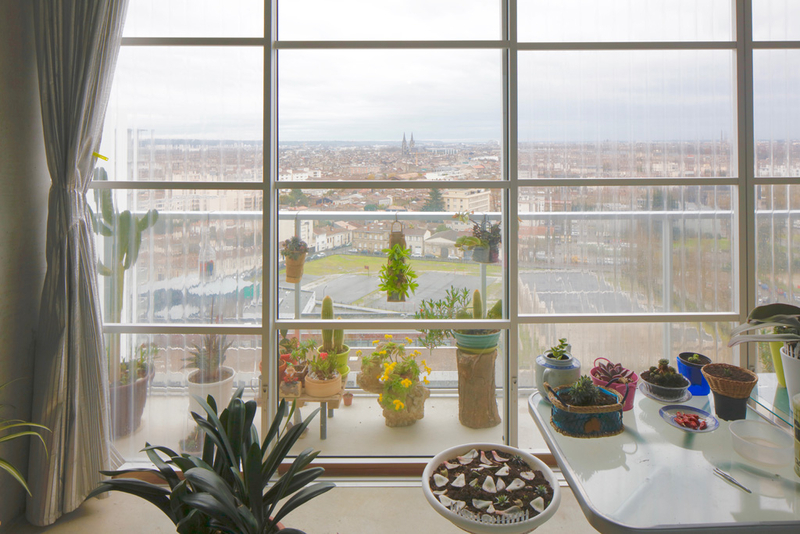 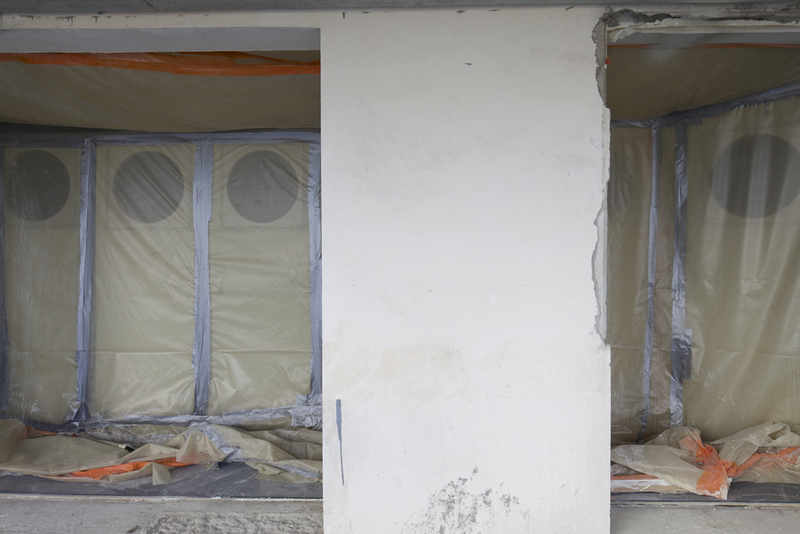 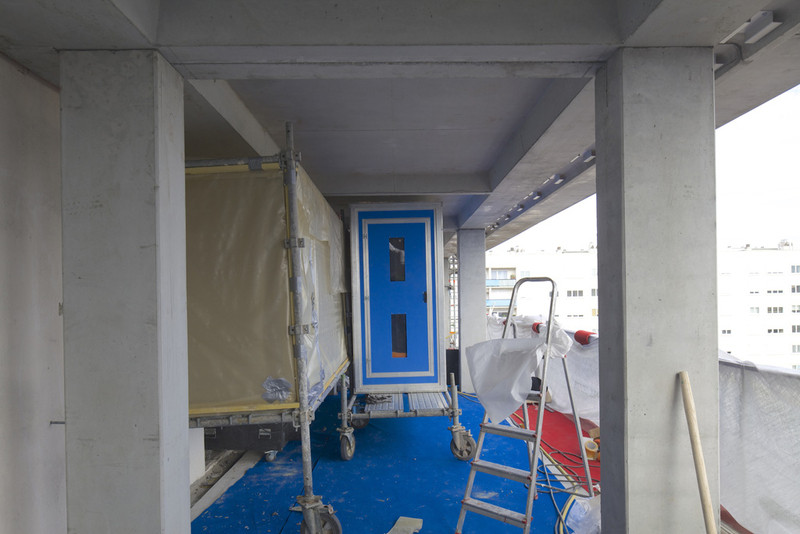 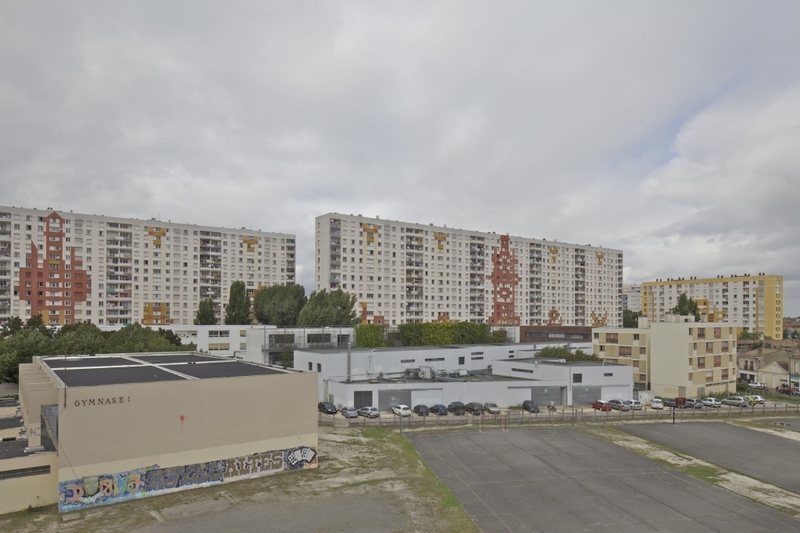 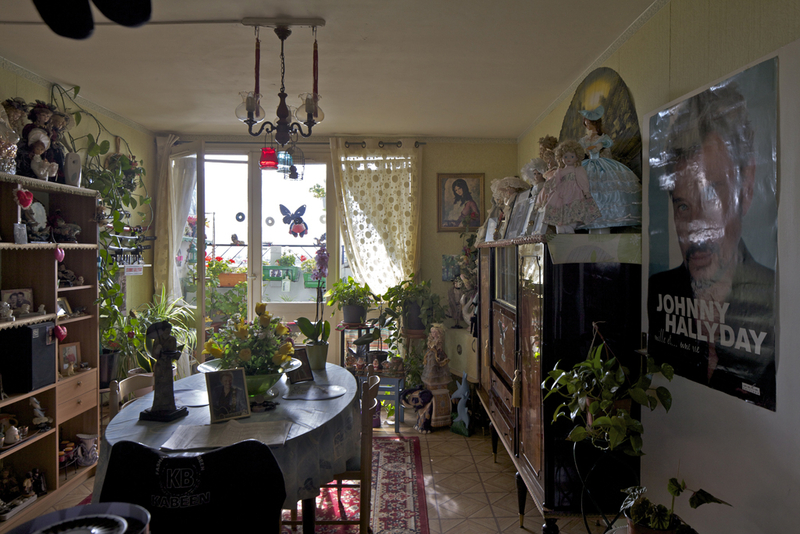 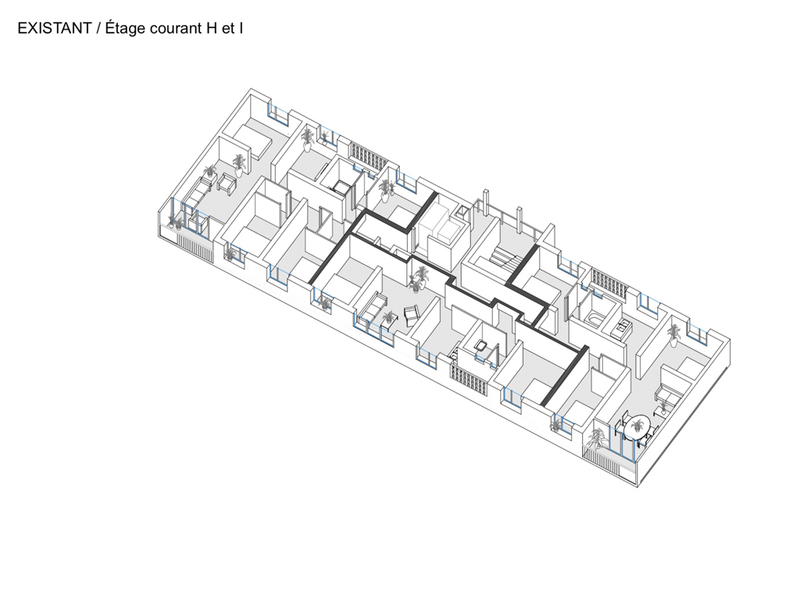 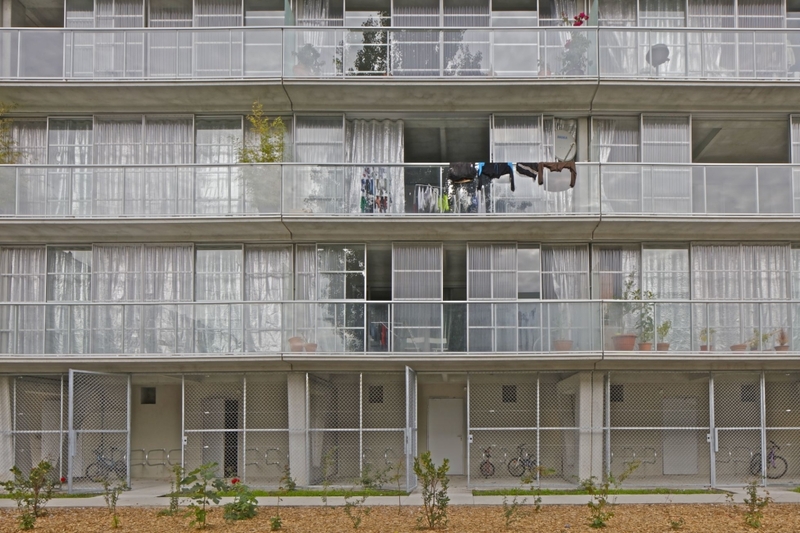 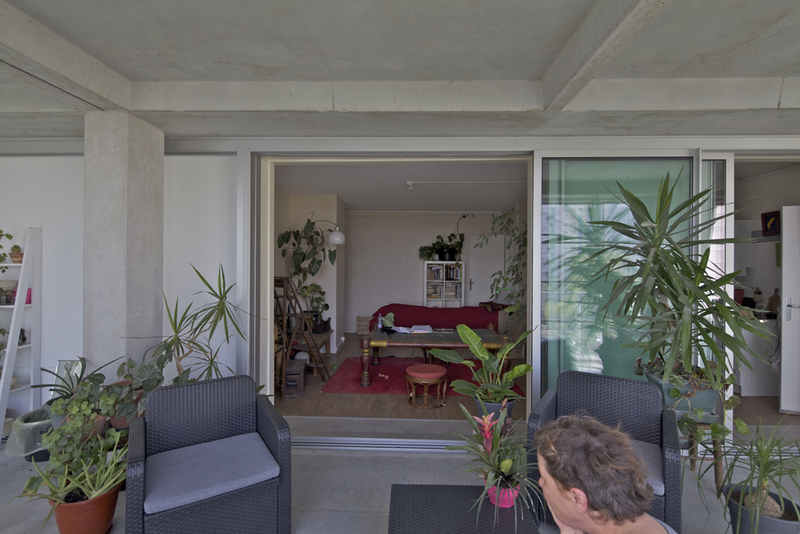 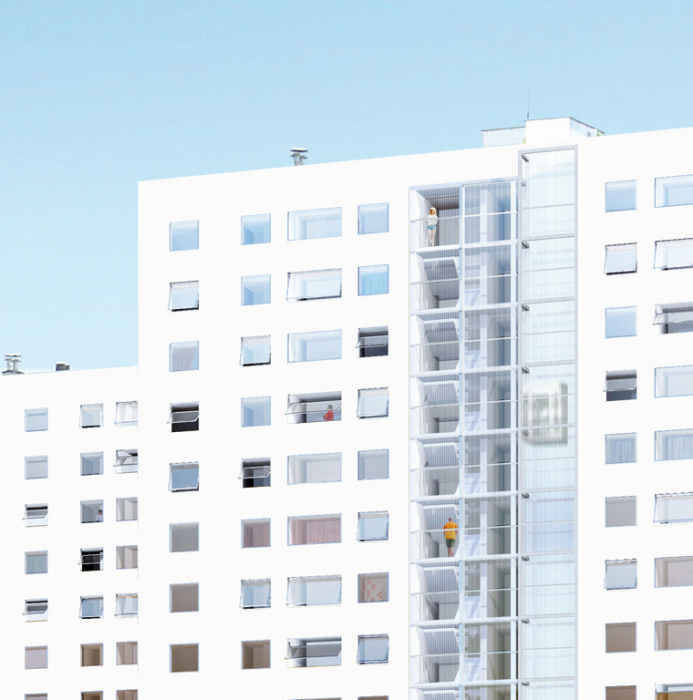 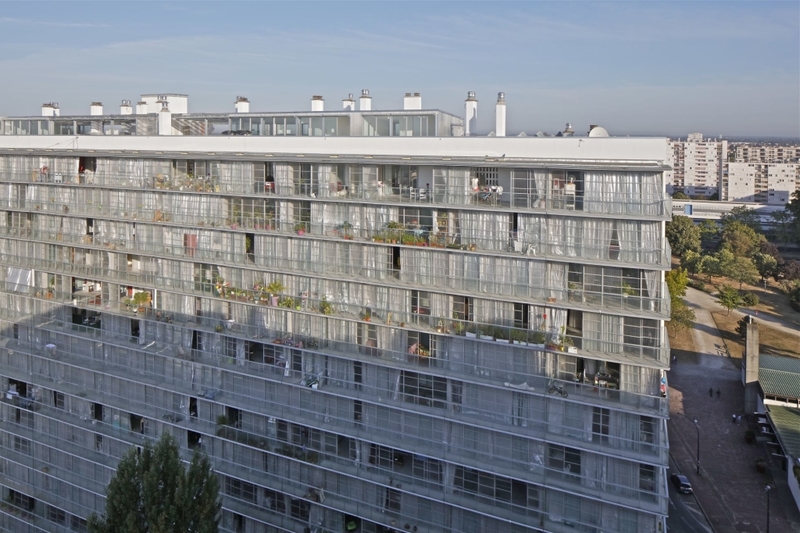 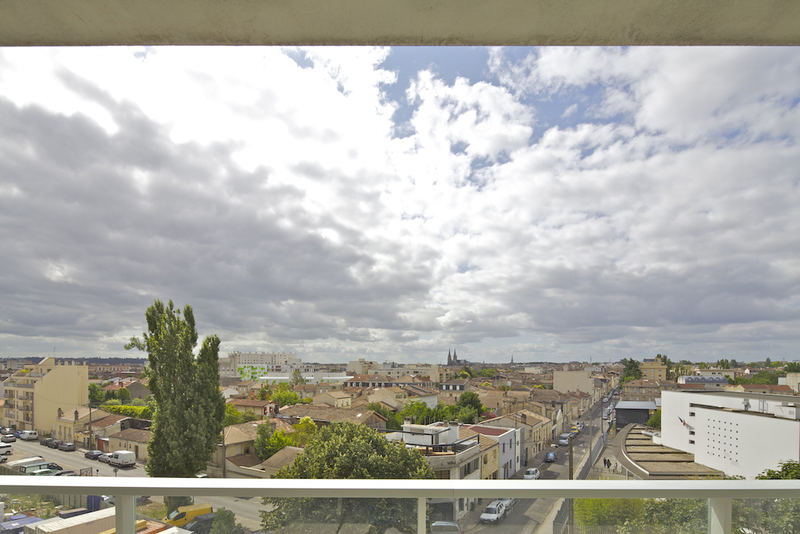 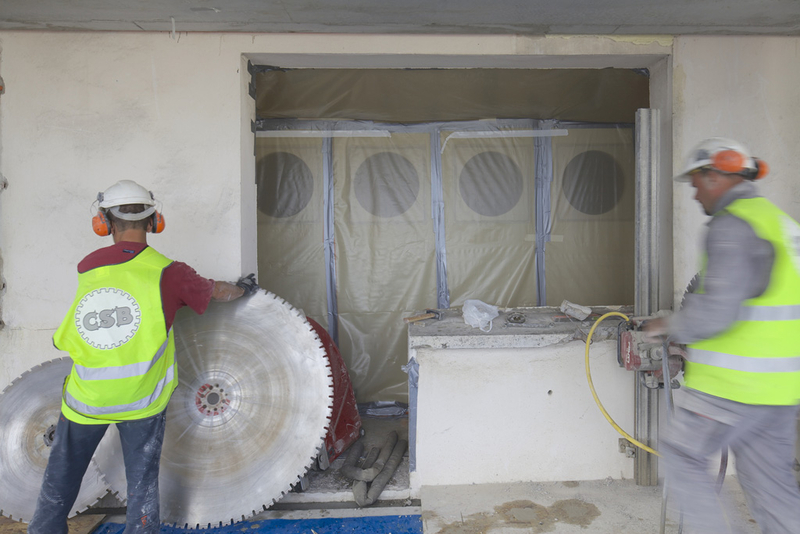 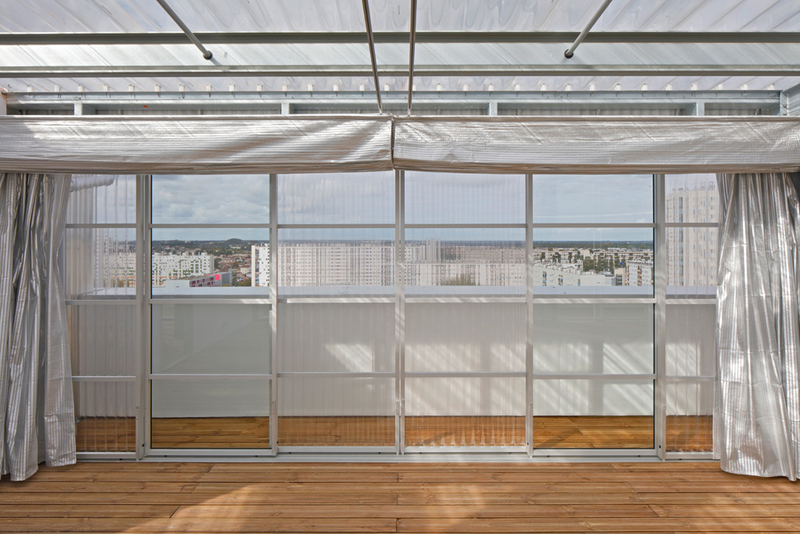 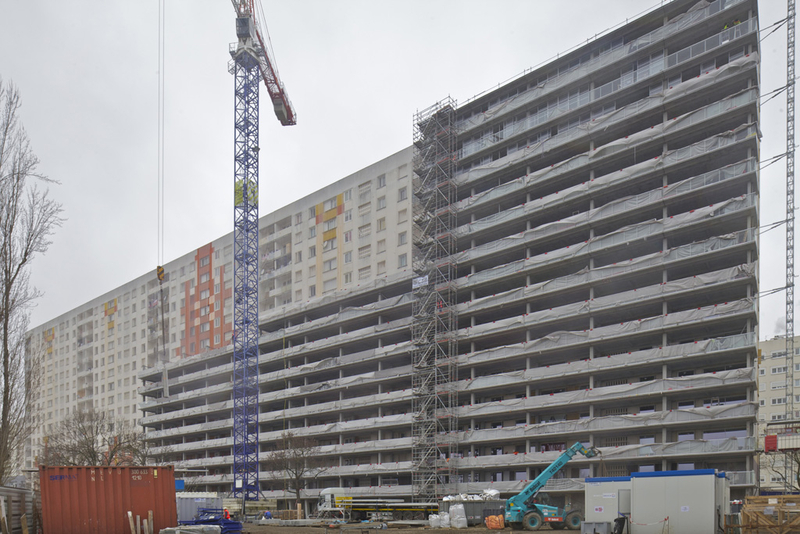 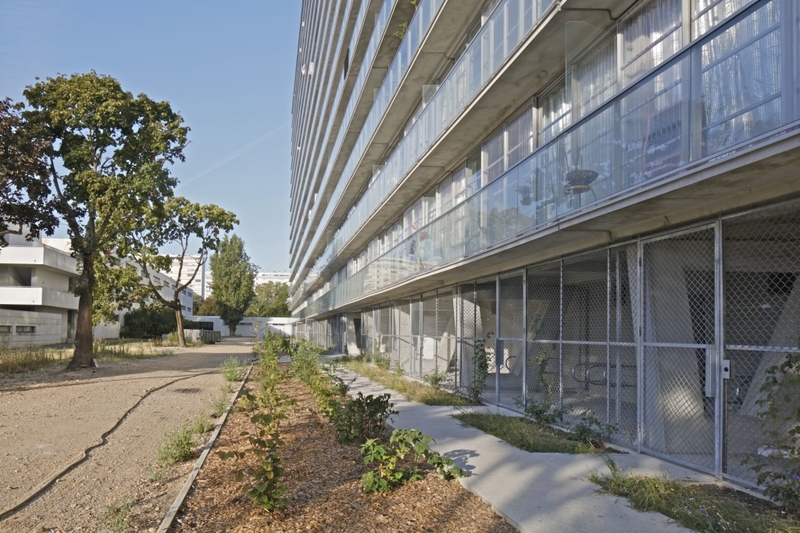 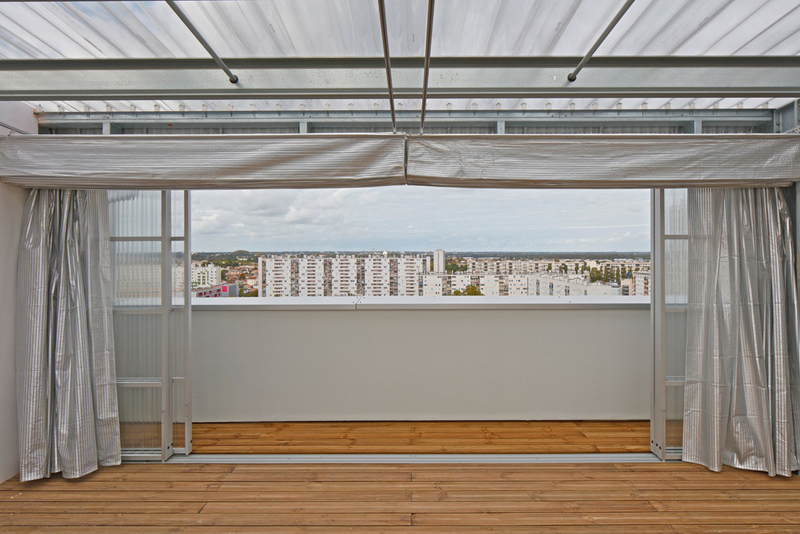 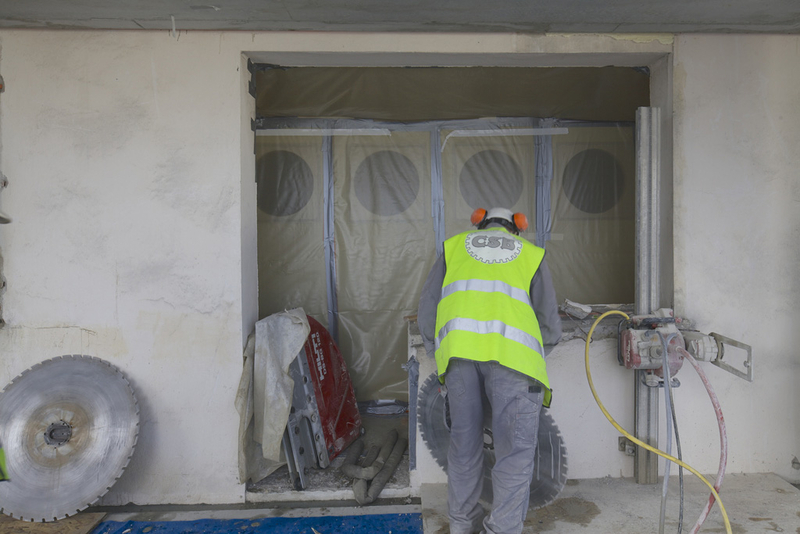 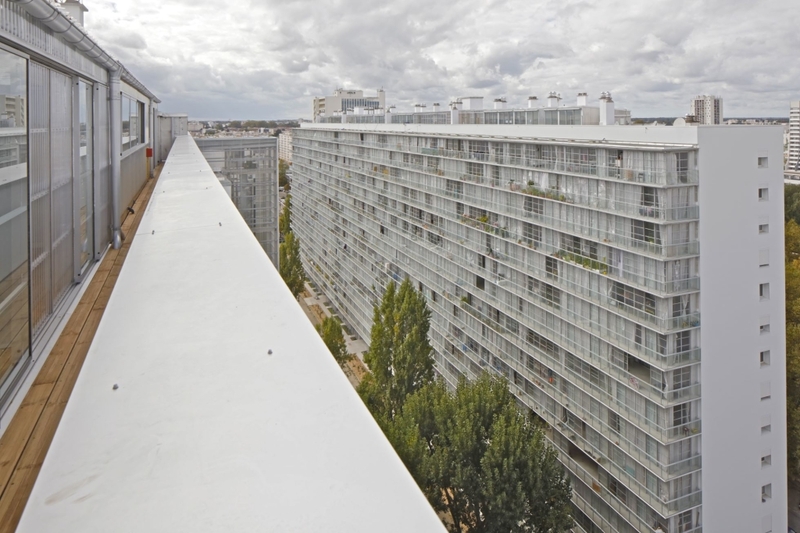 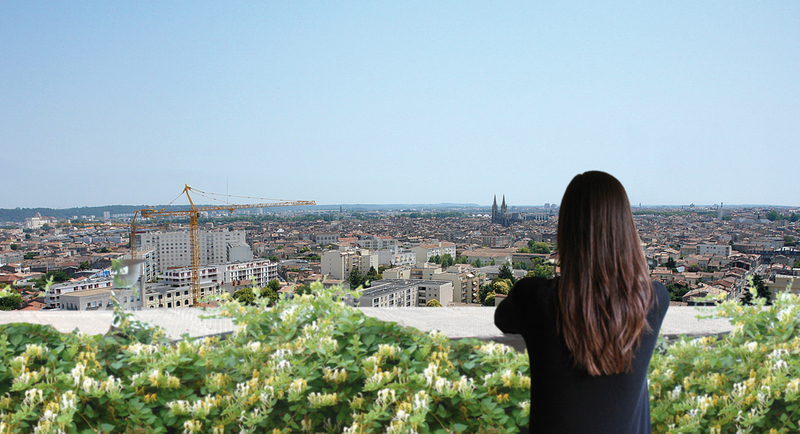 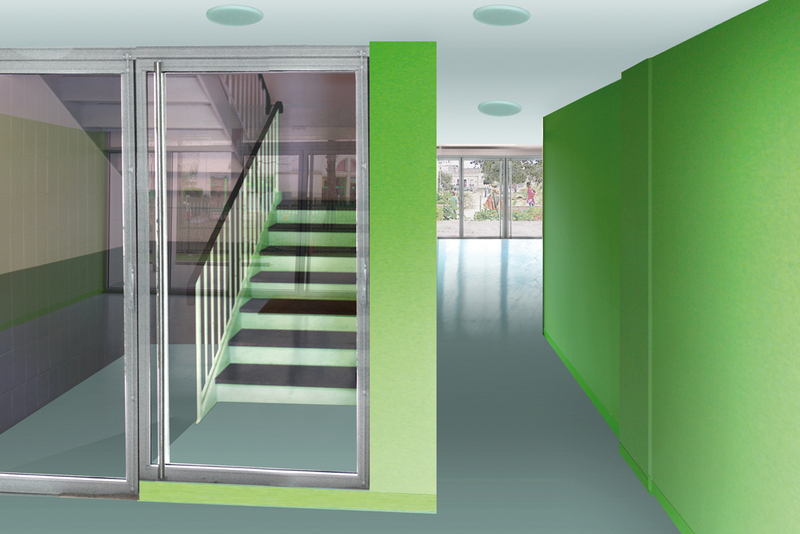 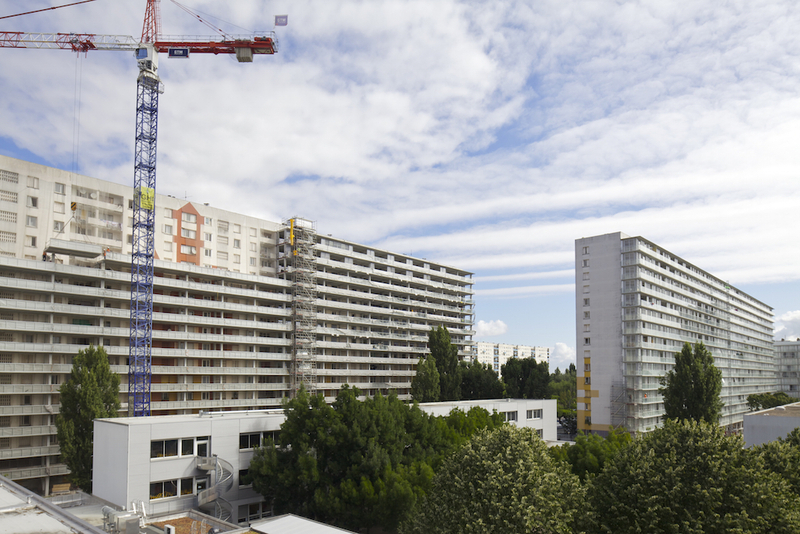 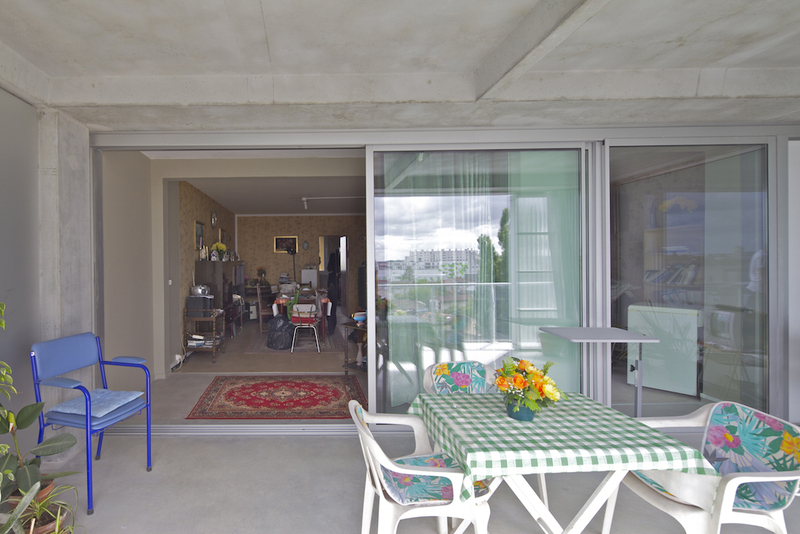 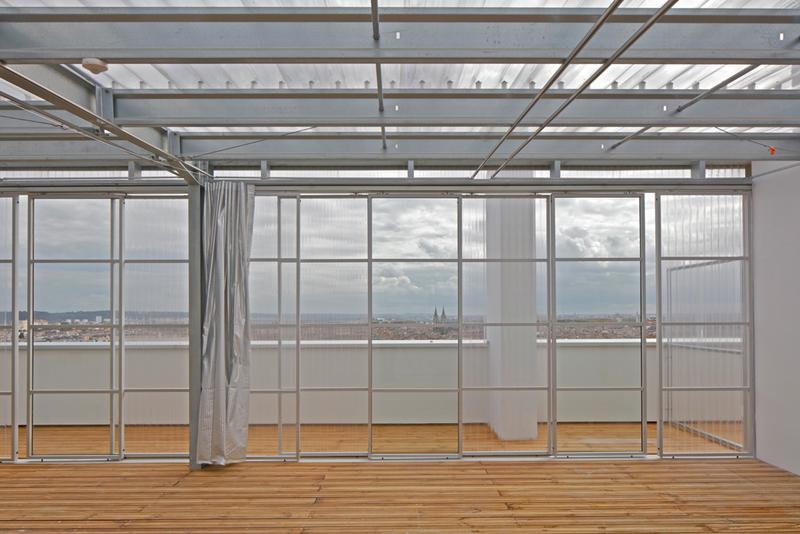 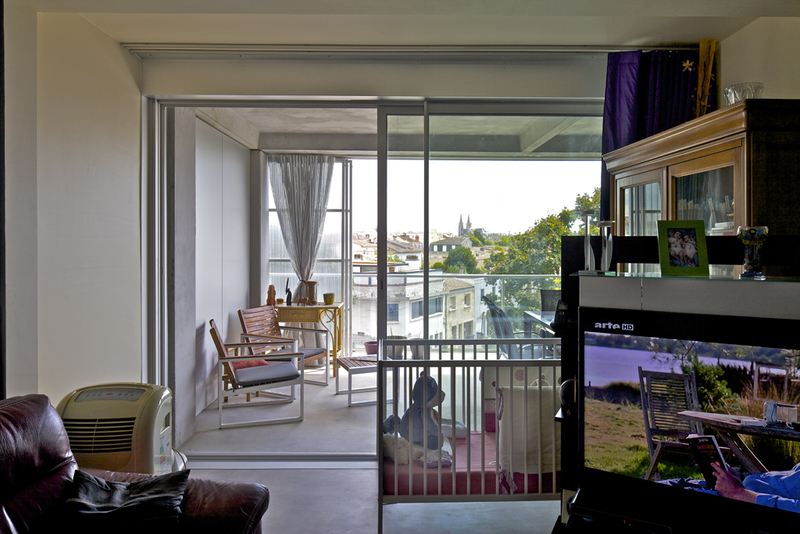 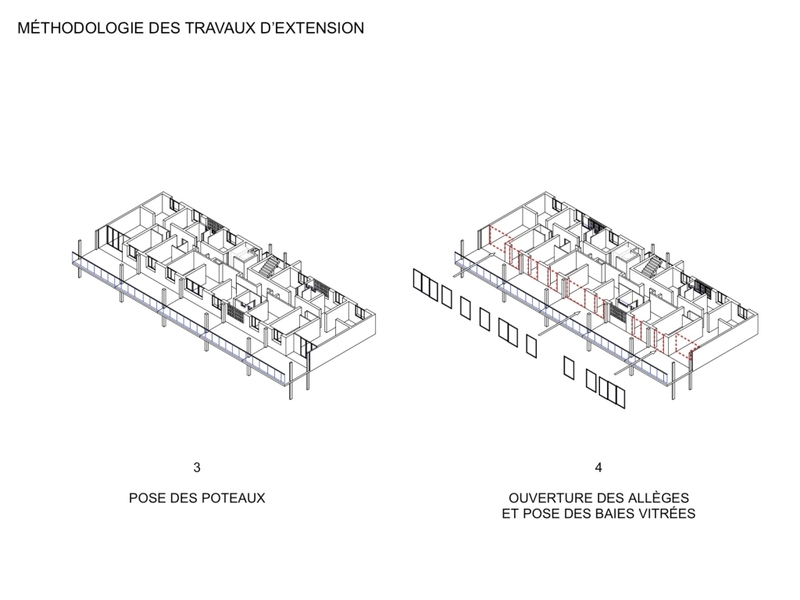 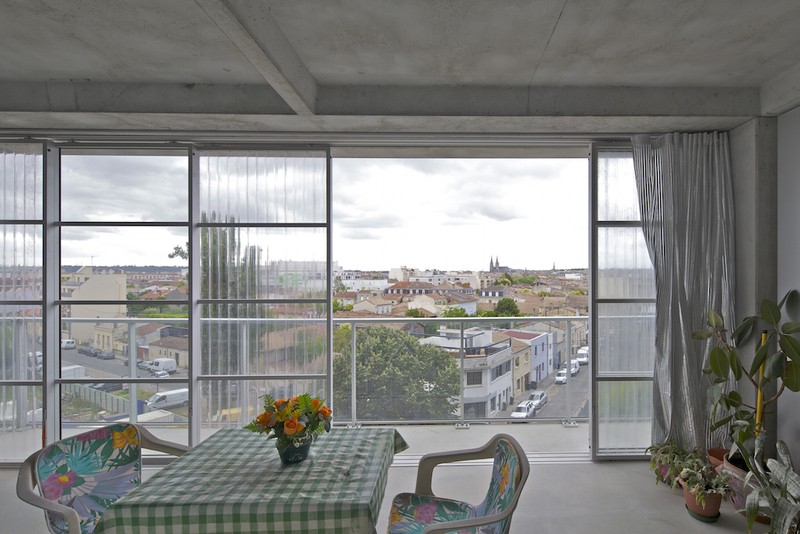 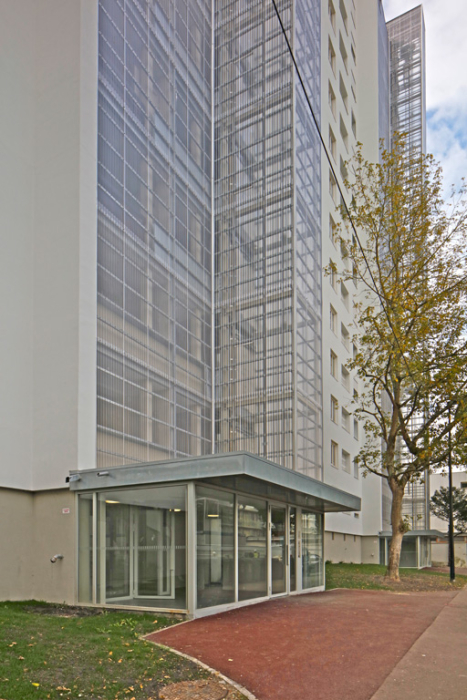 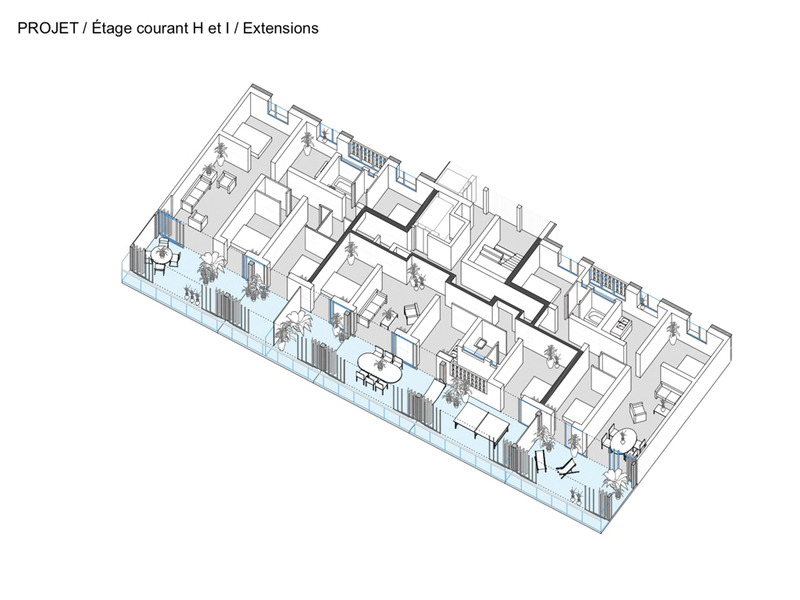 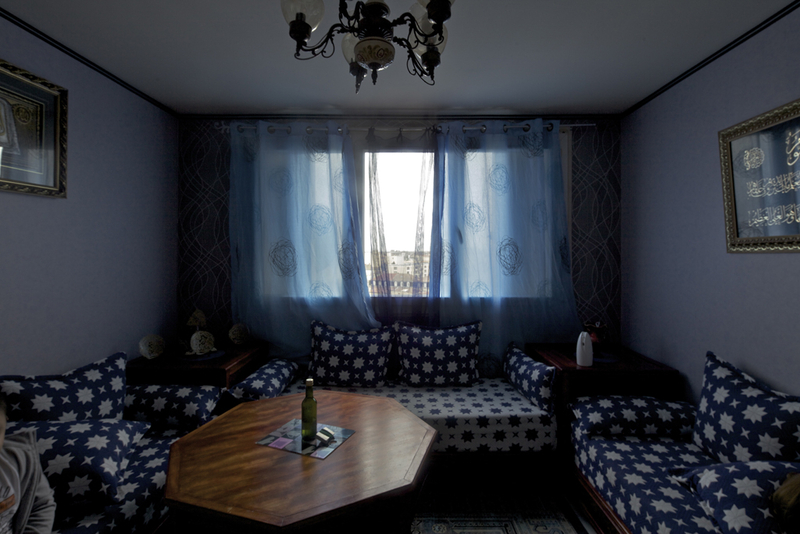 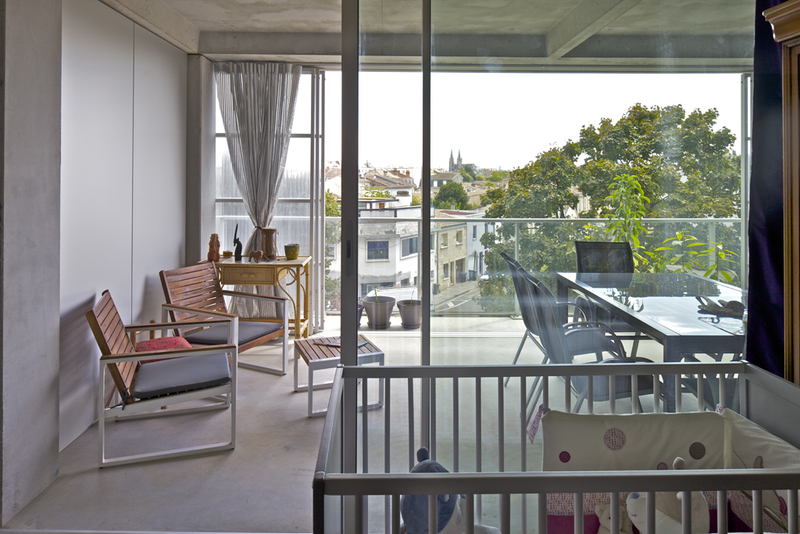 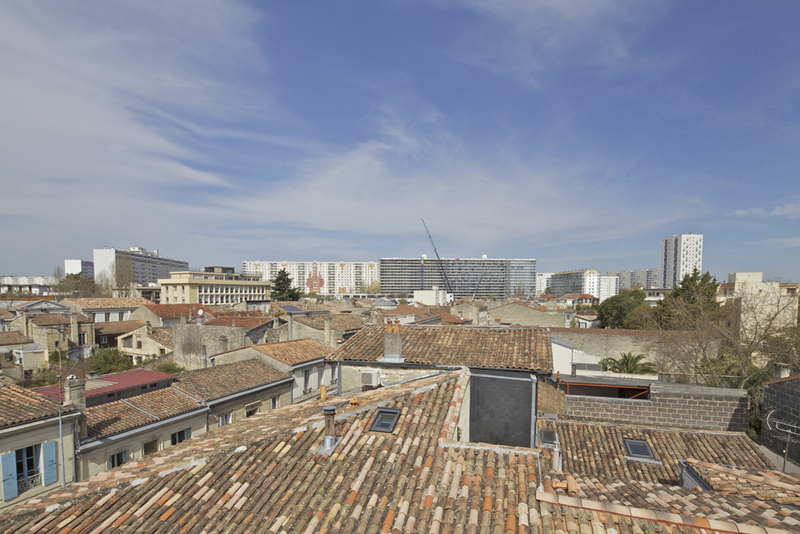 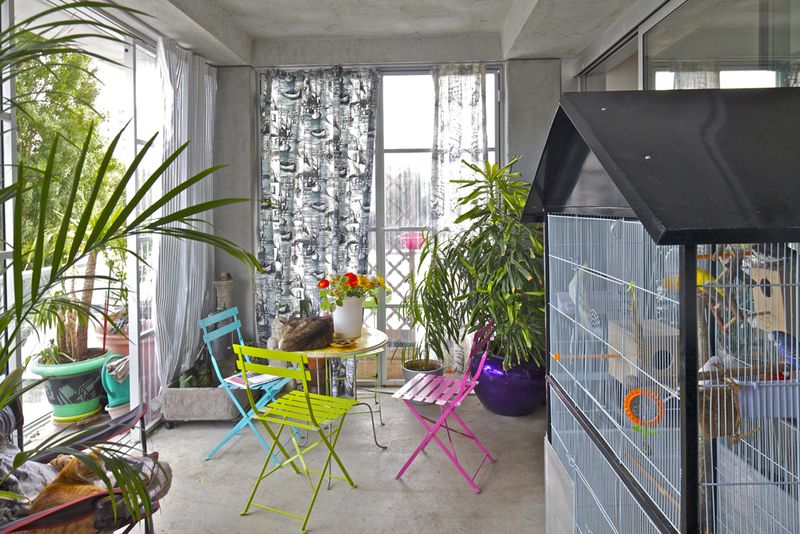 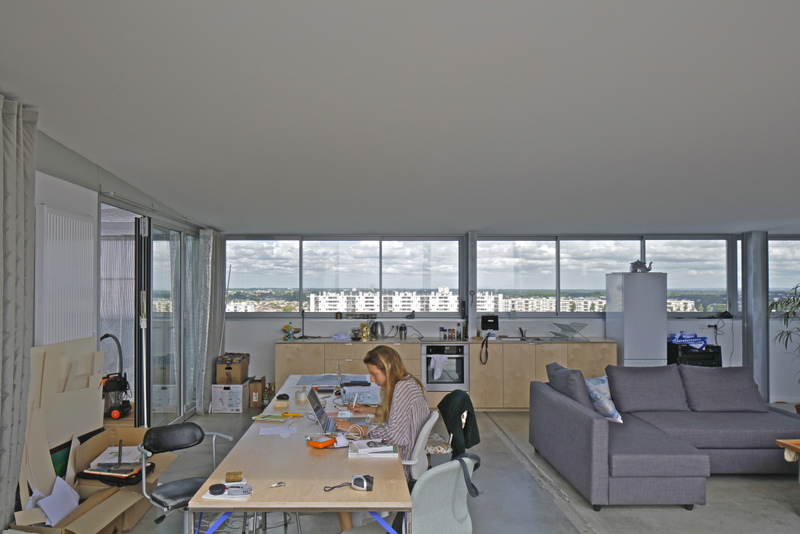 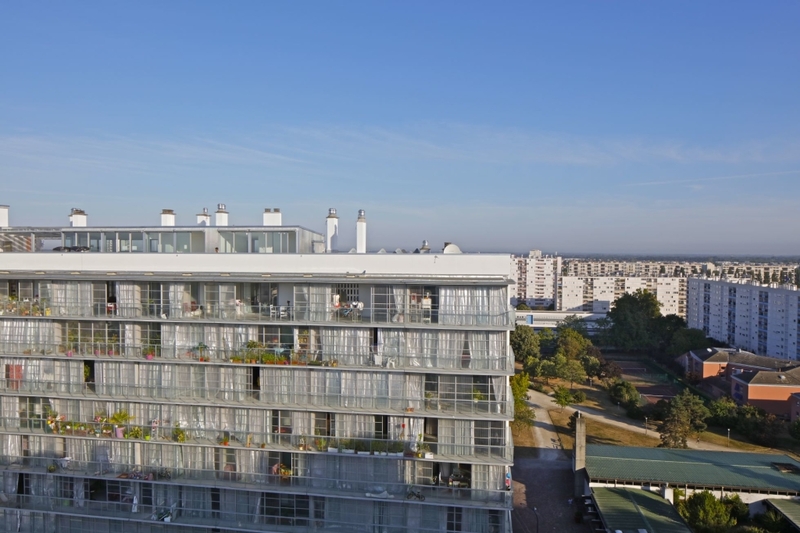 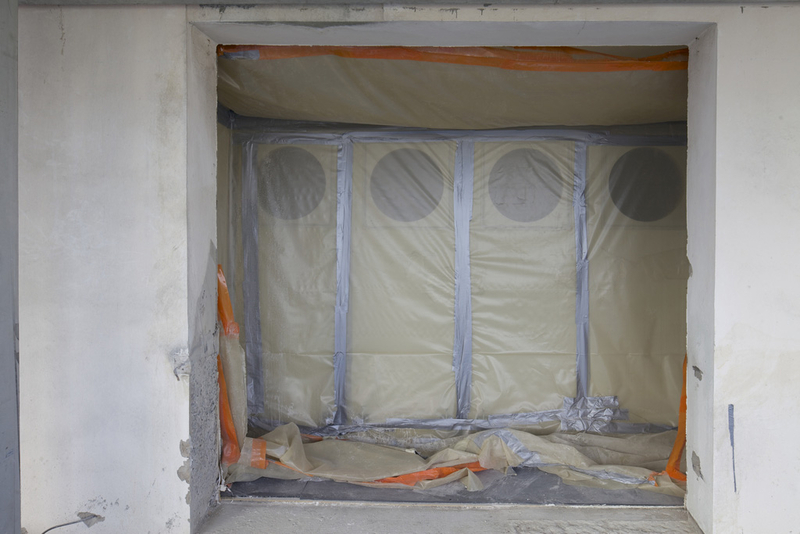 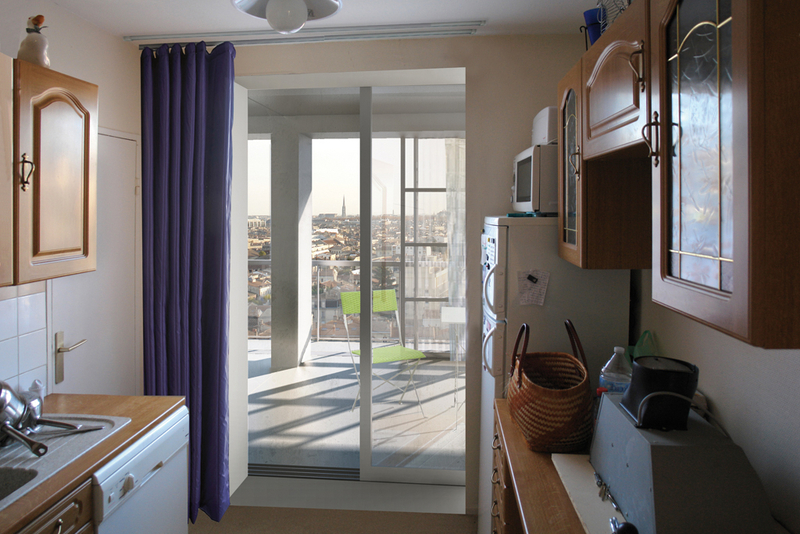 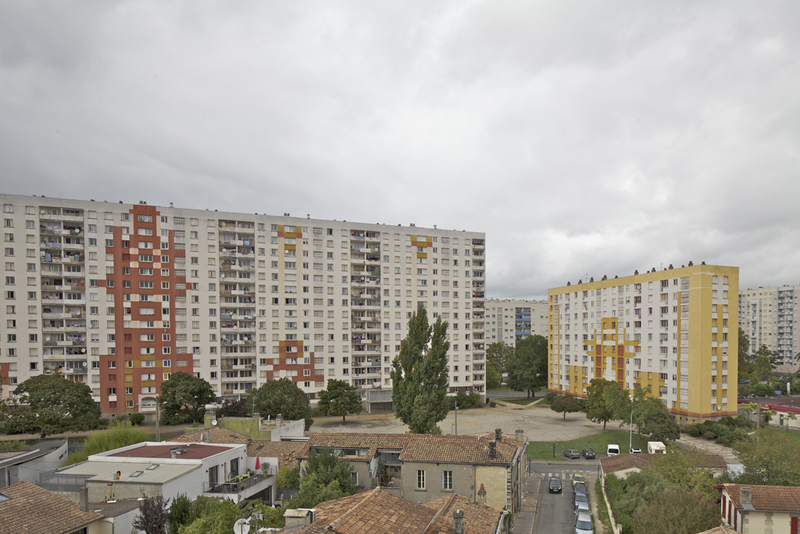 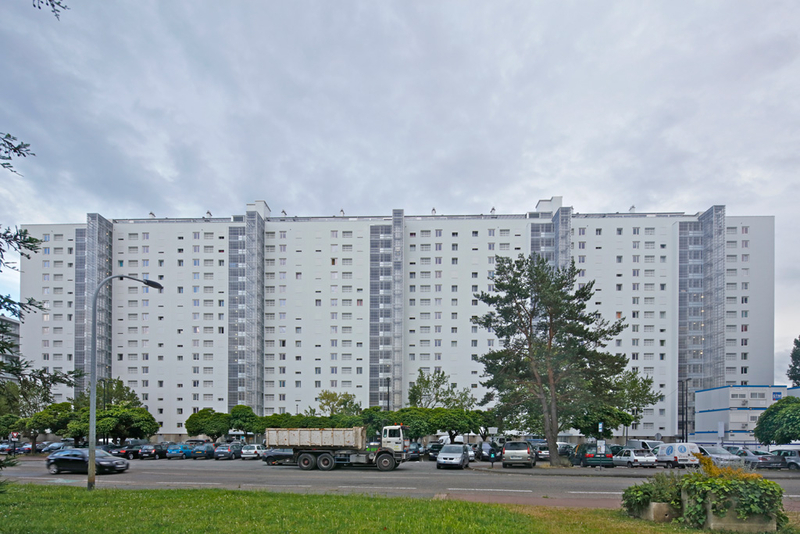 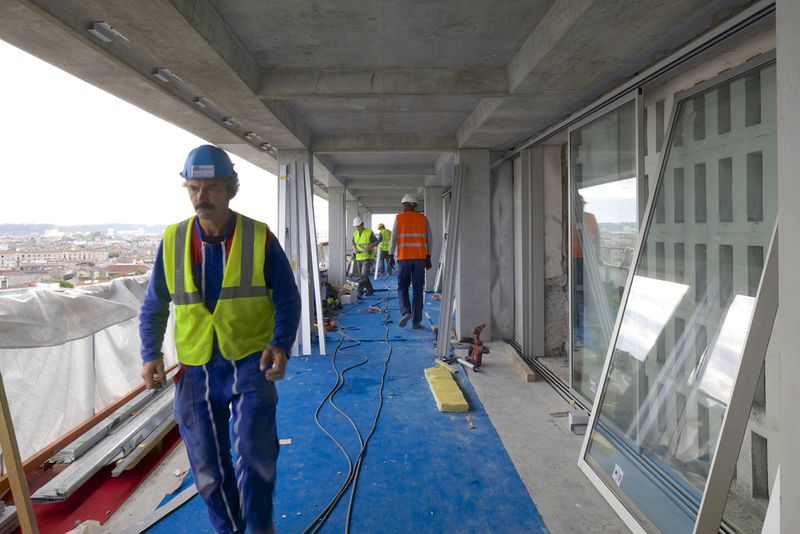 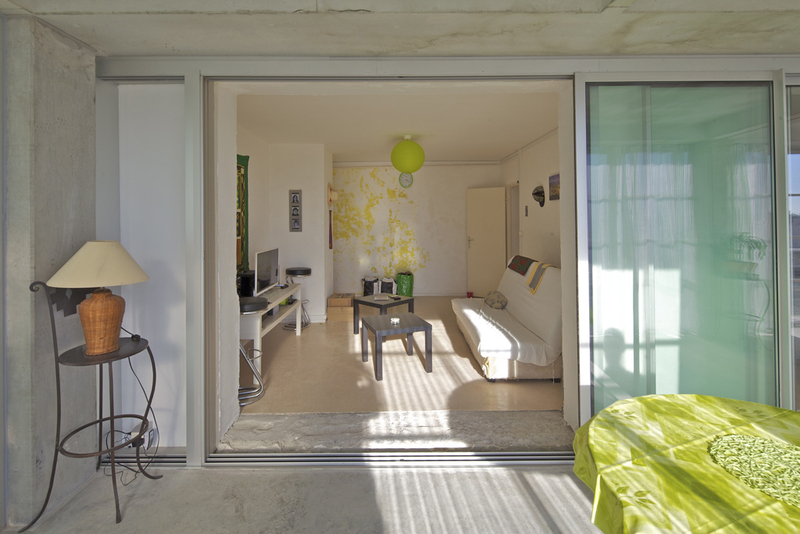 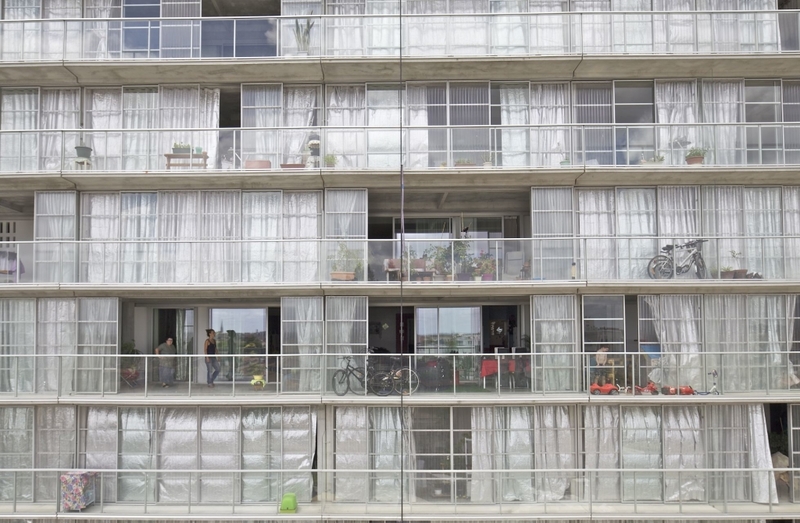 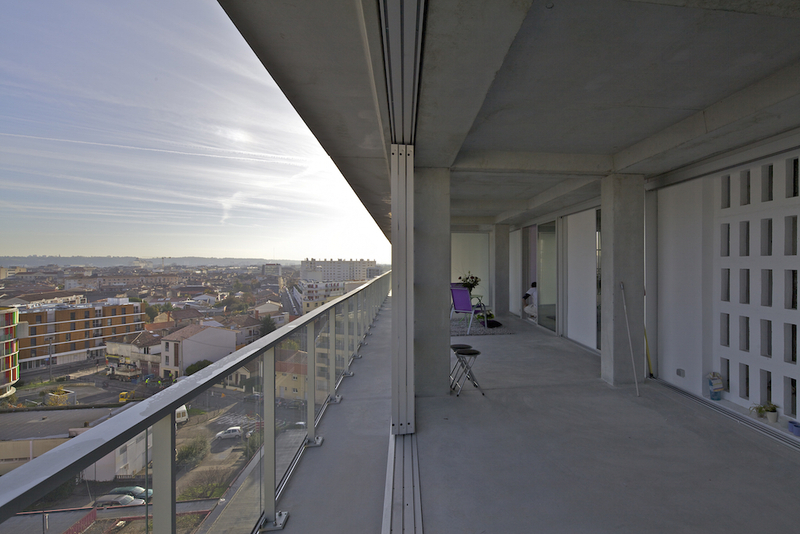 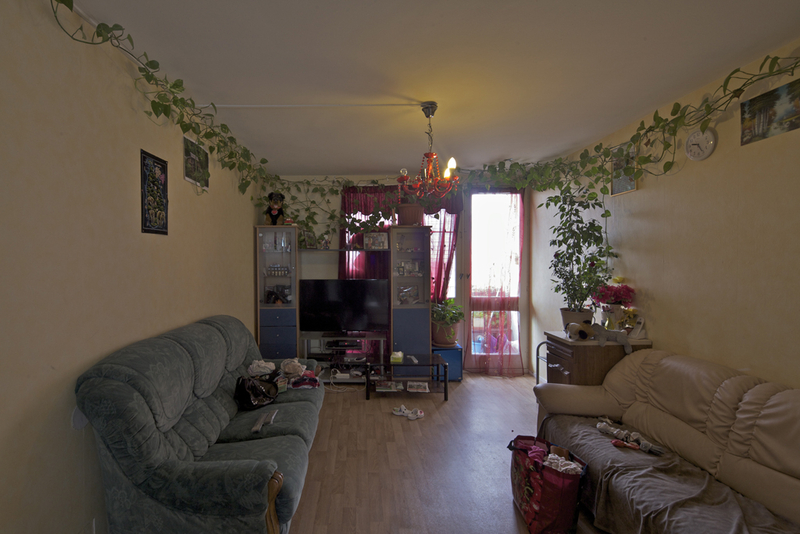 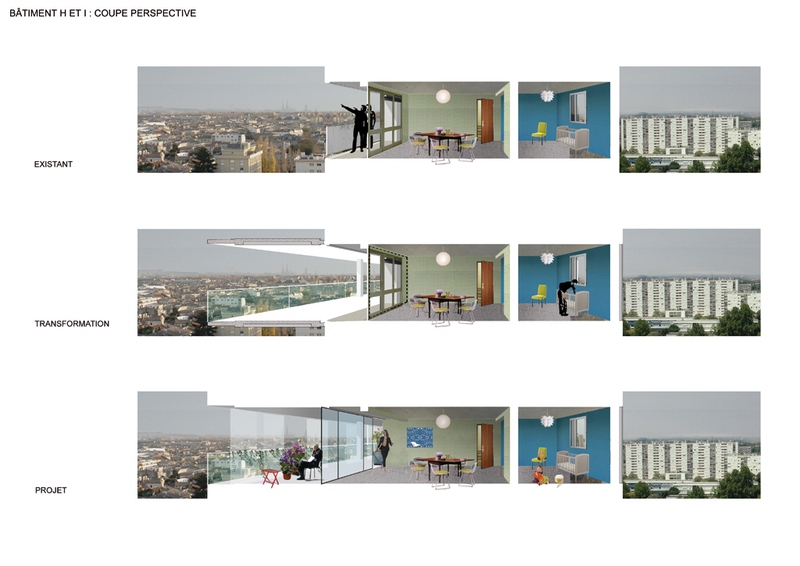 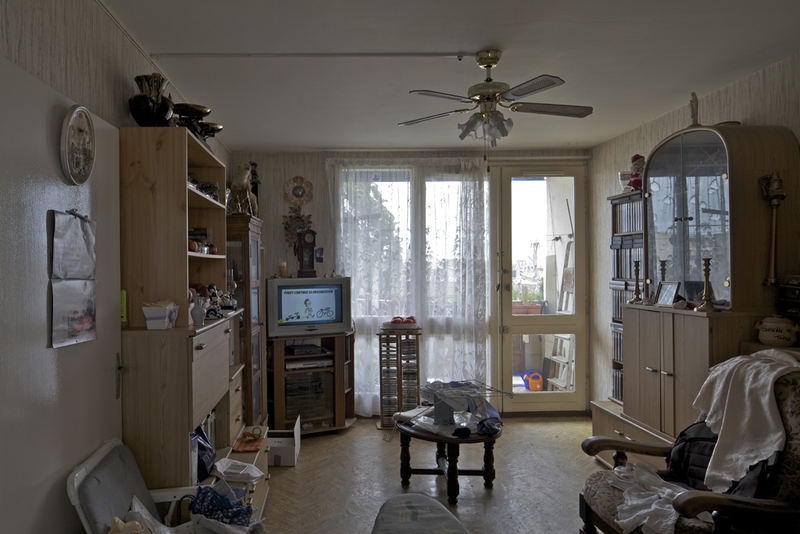 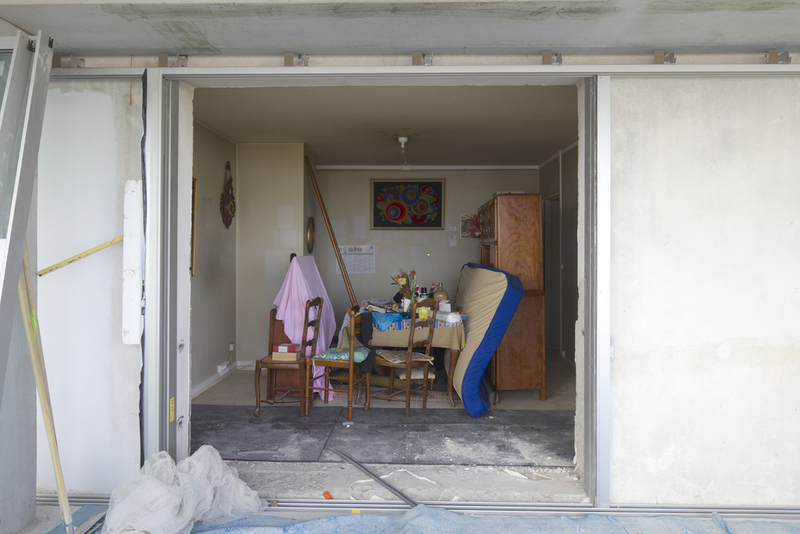 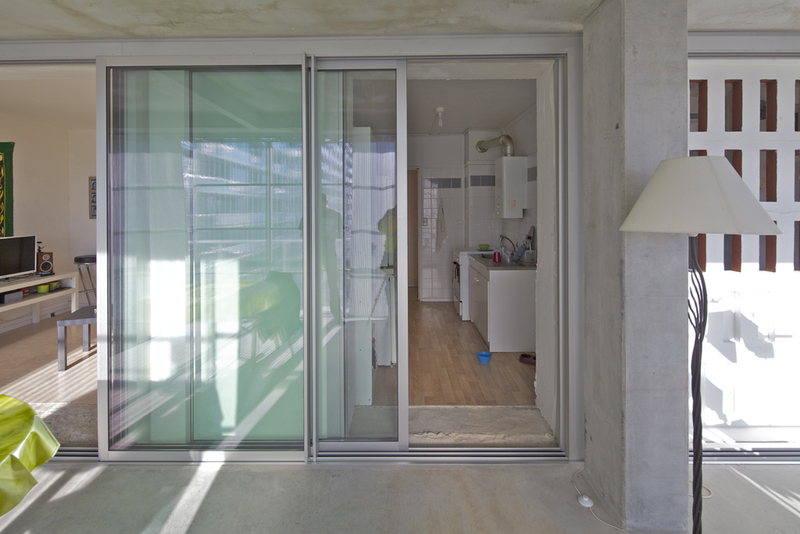 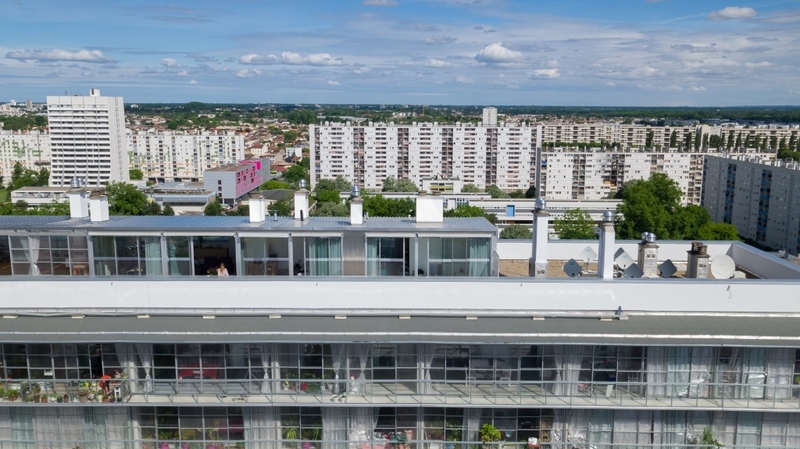 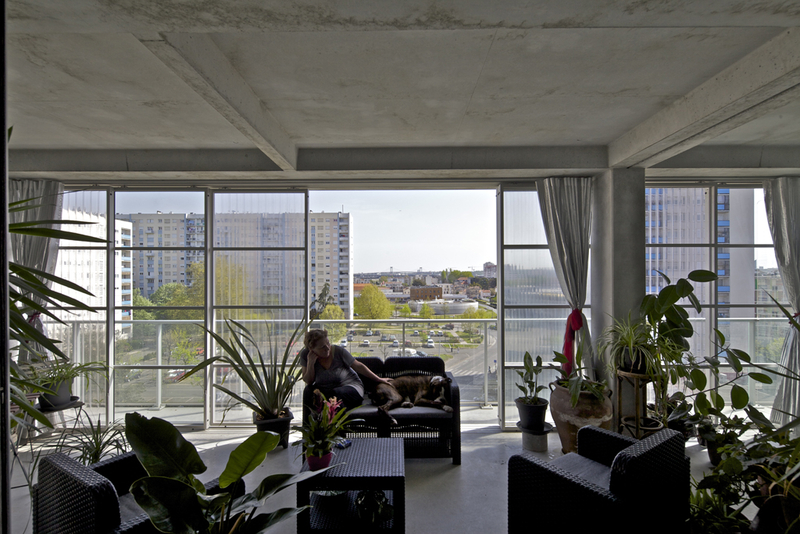 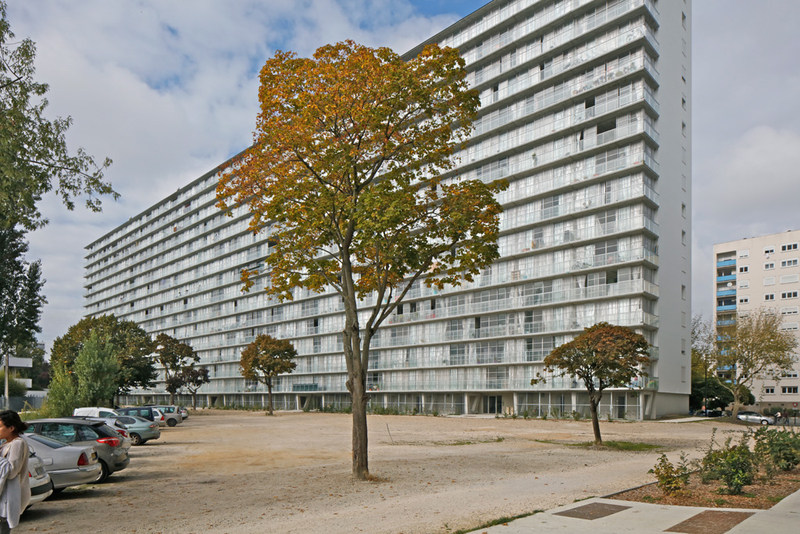 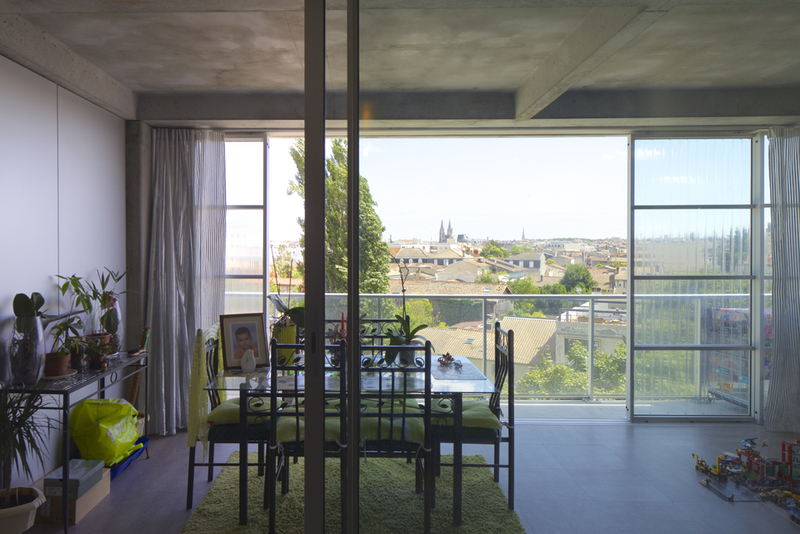 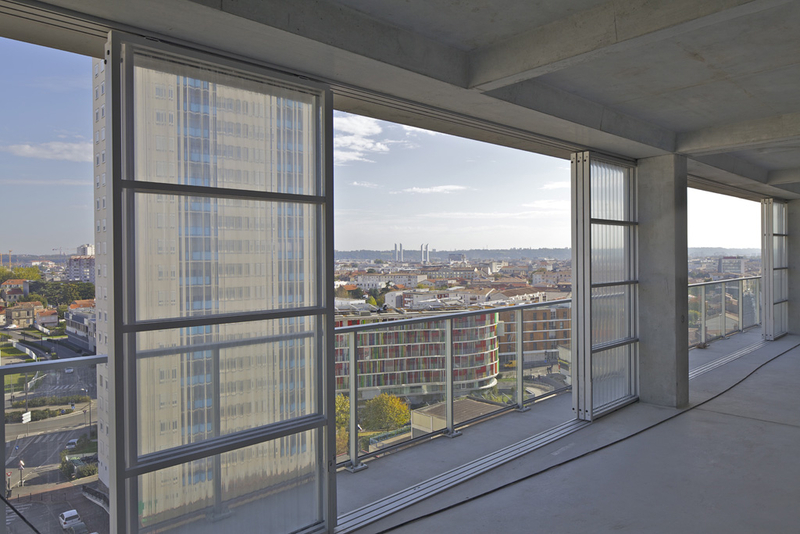 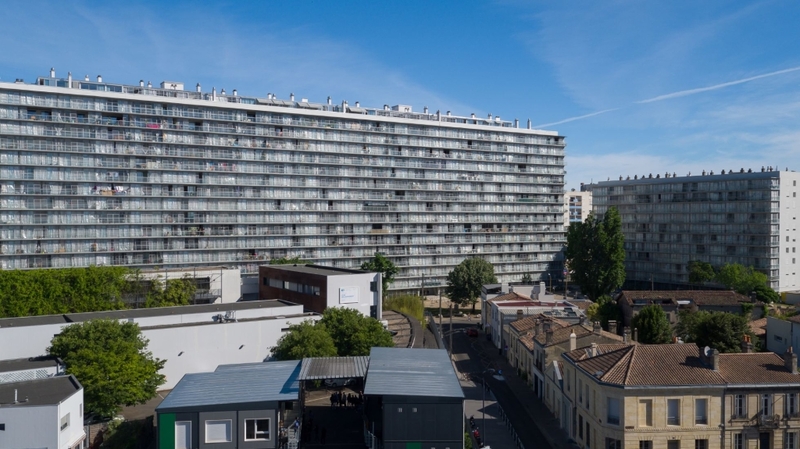 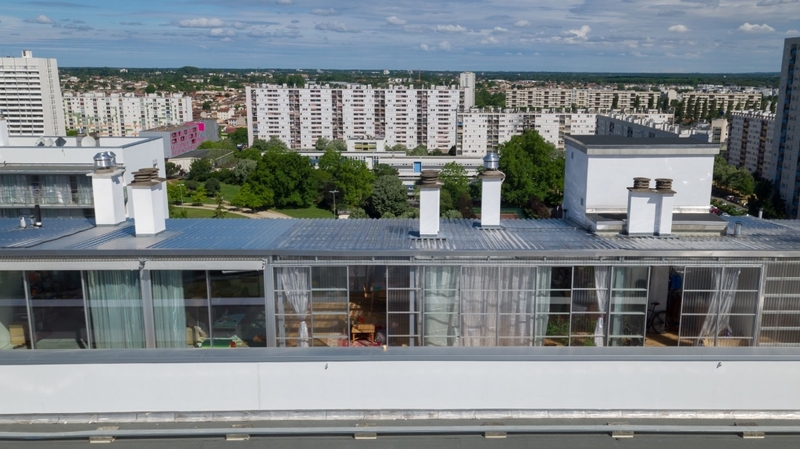 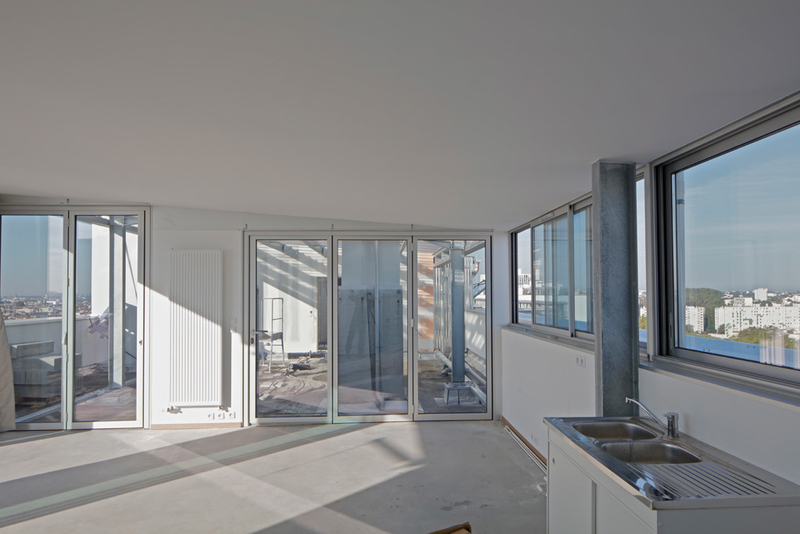 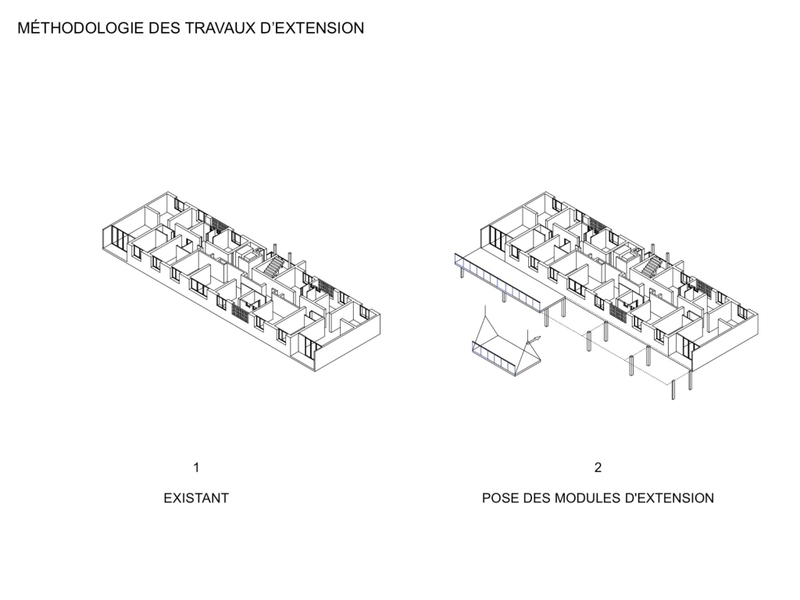 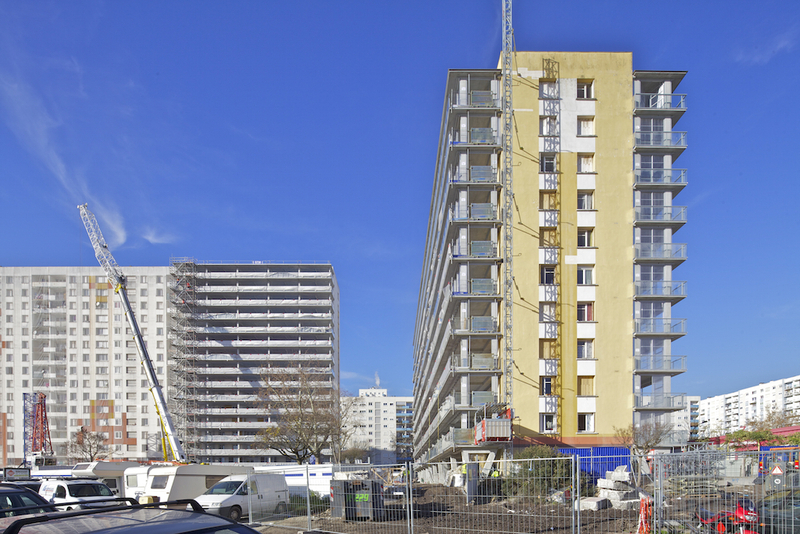 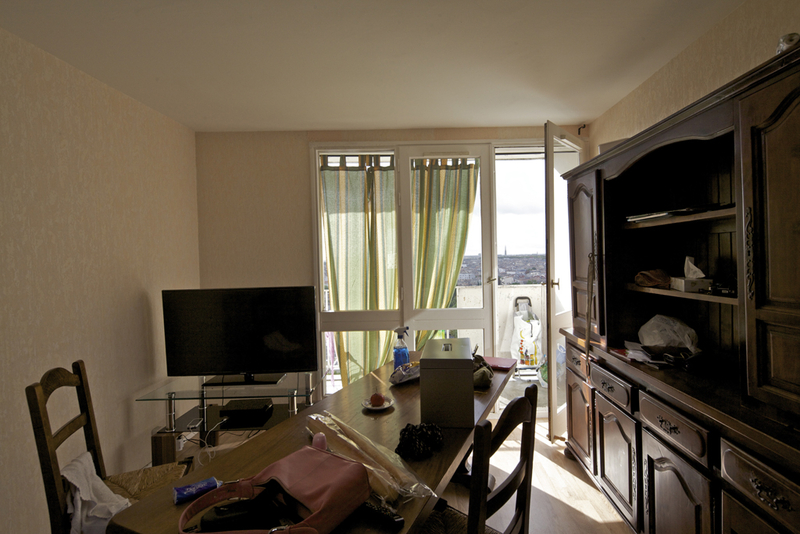 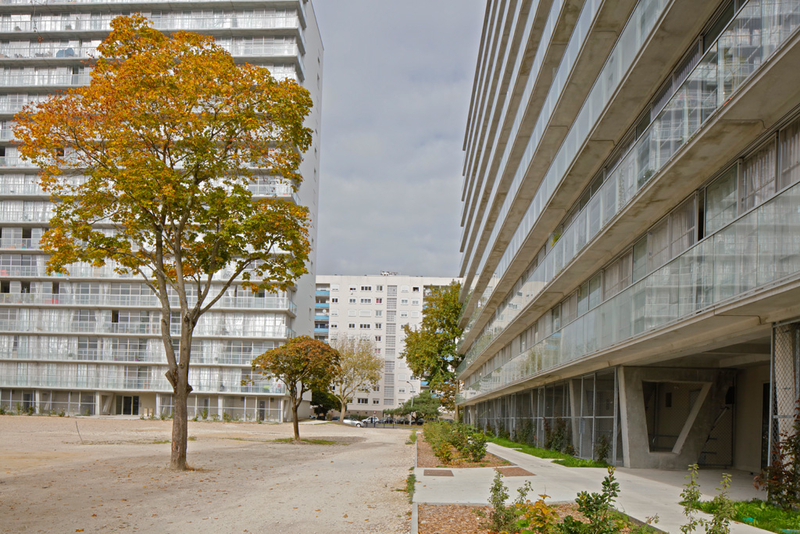 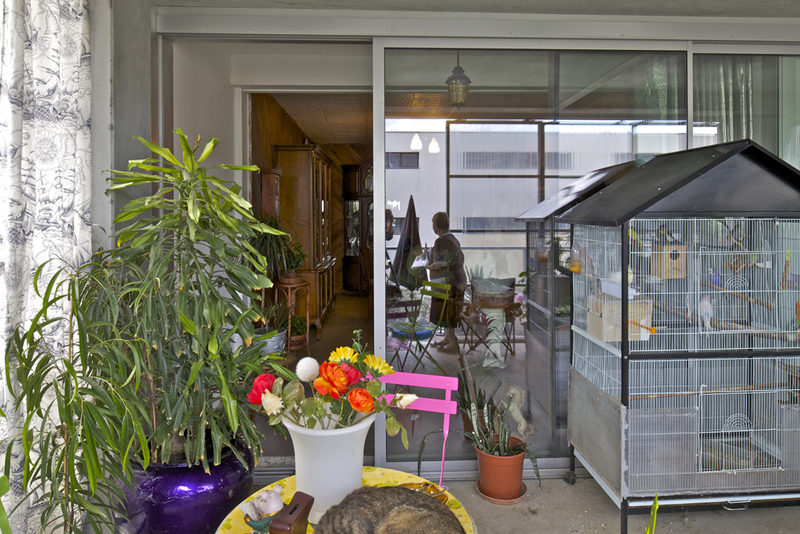 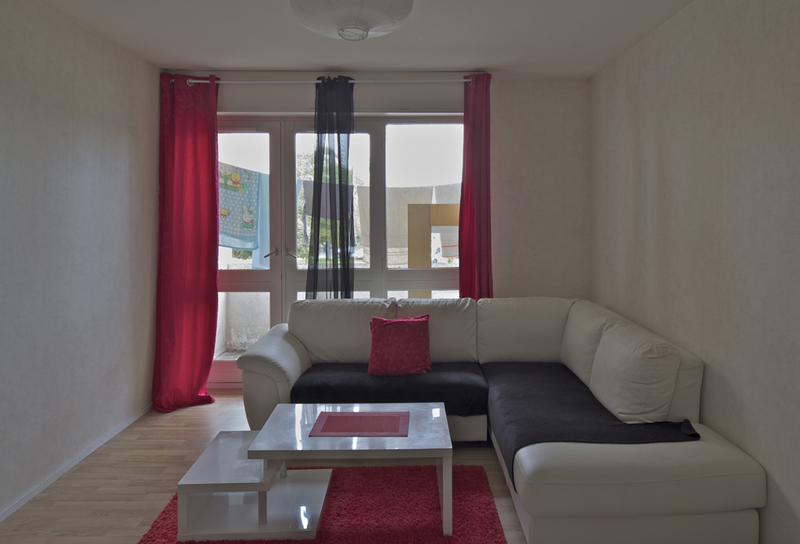 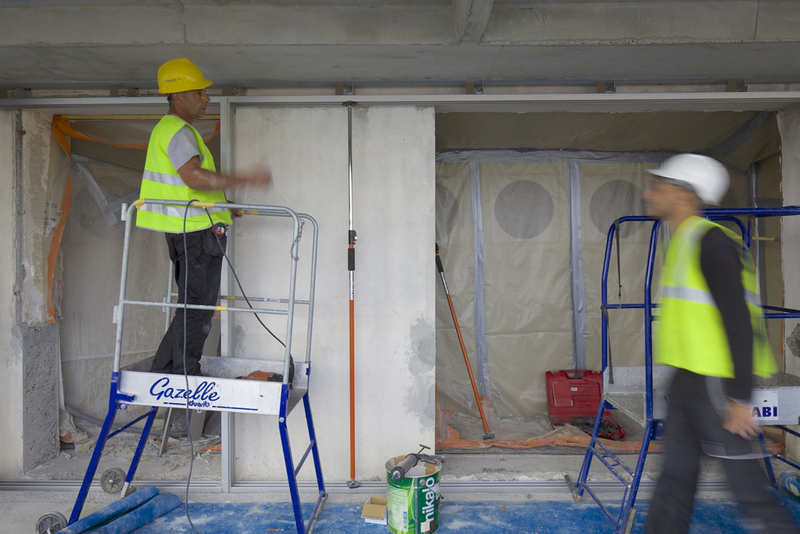 The project consists of the transformation of 3 inhabited social buildings, first phasis of a renovation program of the 'Cité du Grand Parc' in Bordeaux. 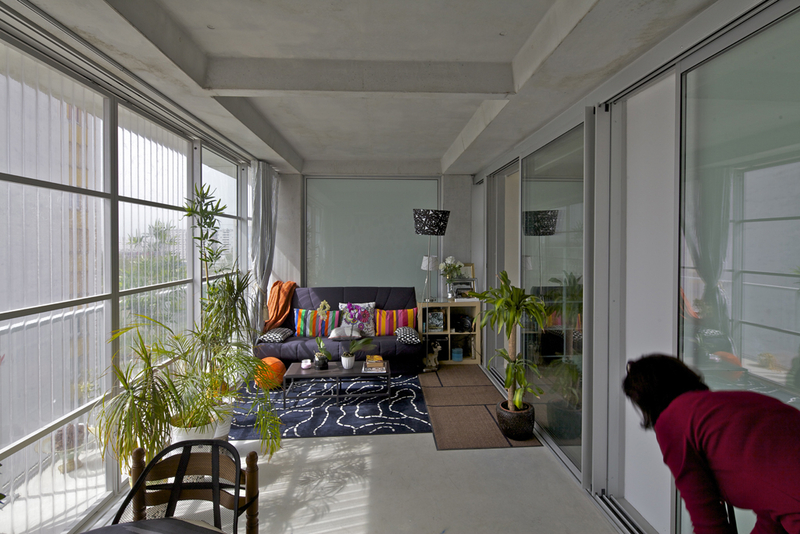 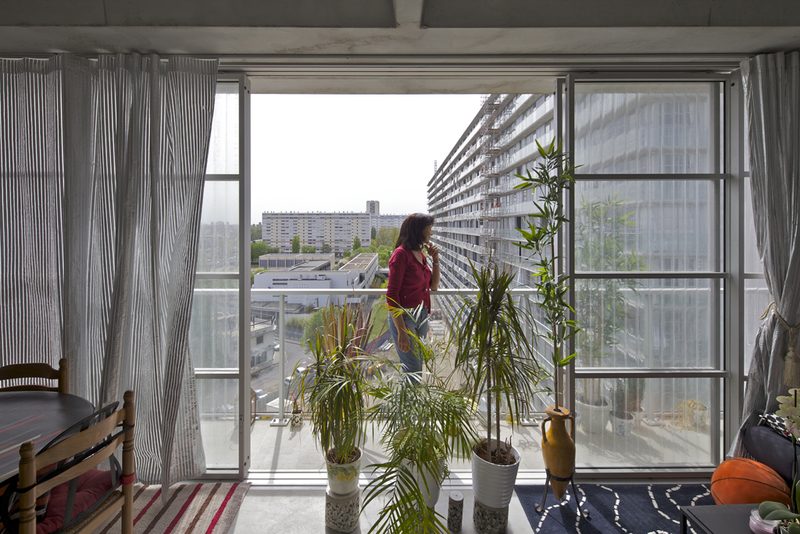 Built in the early 60's, this urban housing counts more than 4000 dwellings. 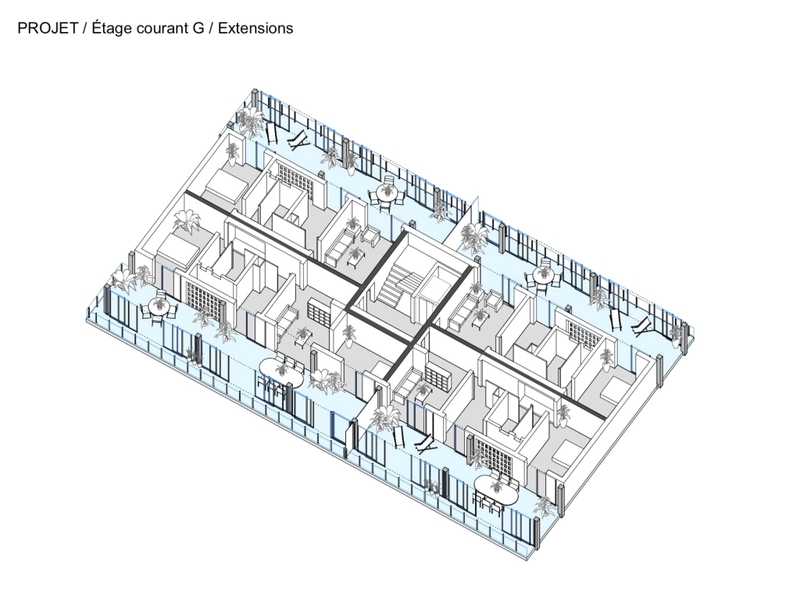 The 3 buildings G, H and I, 10 to 15 floors high gather 530 dwellings and give a capacity of transforming into beautiful dwellings with redefined qualities and comfort. 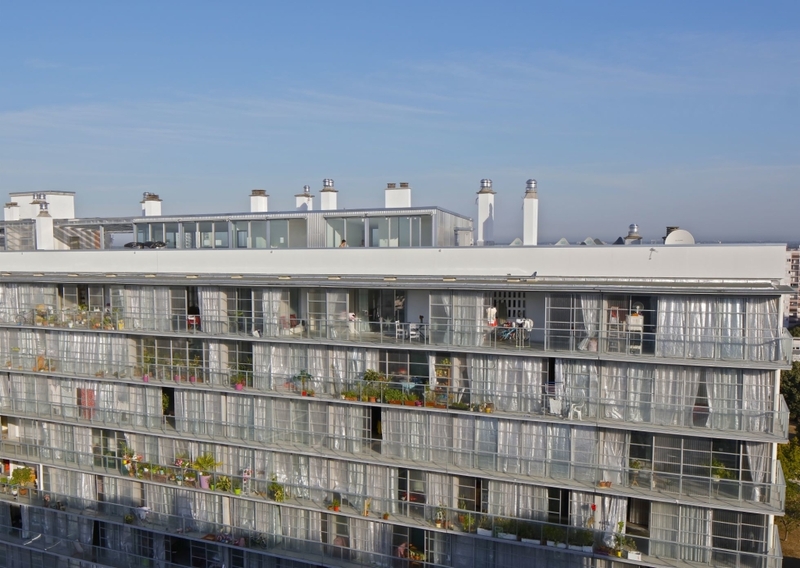 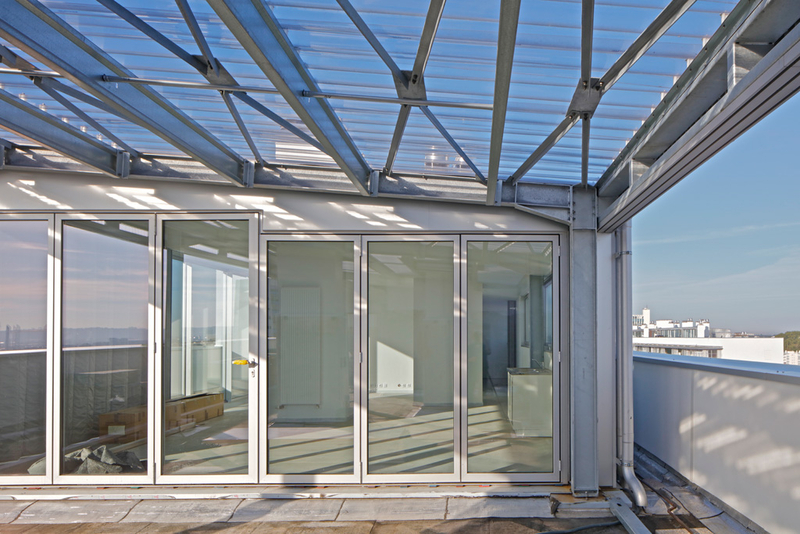 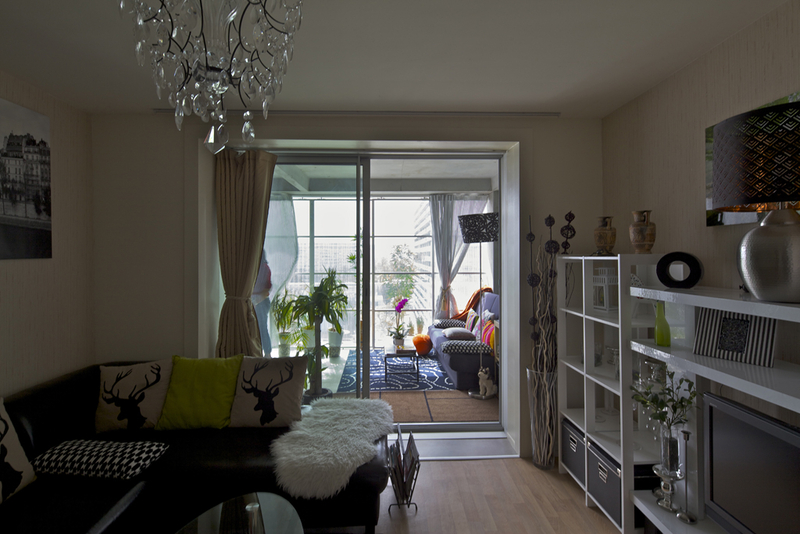 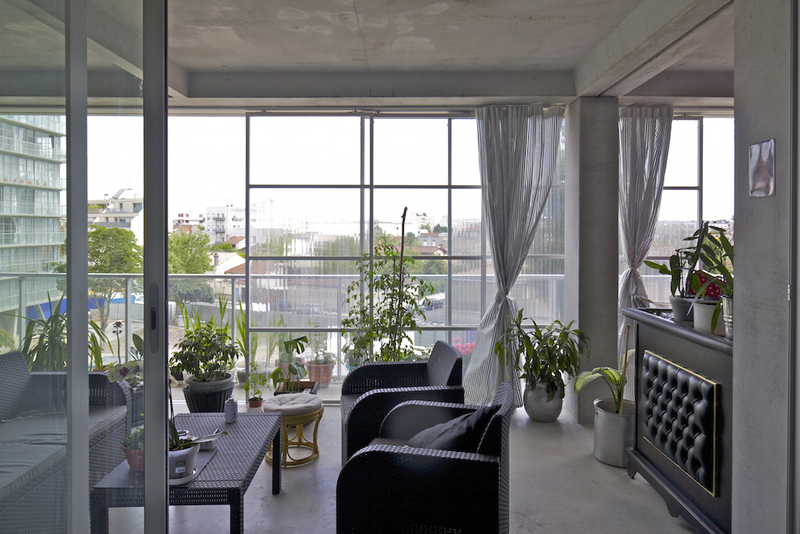 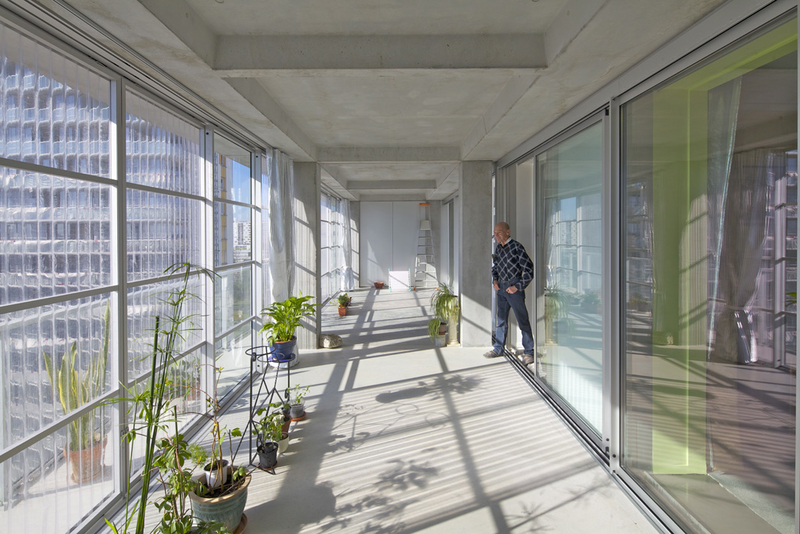 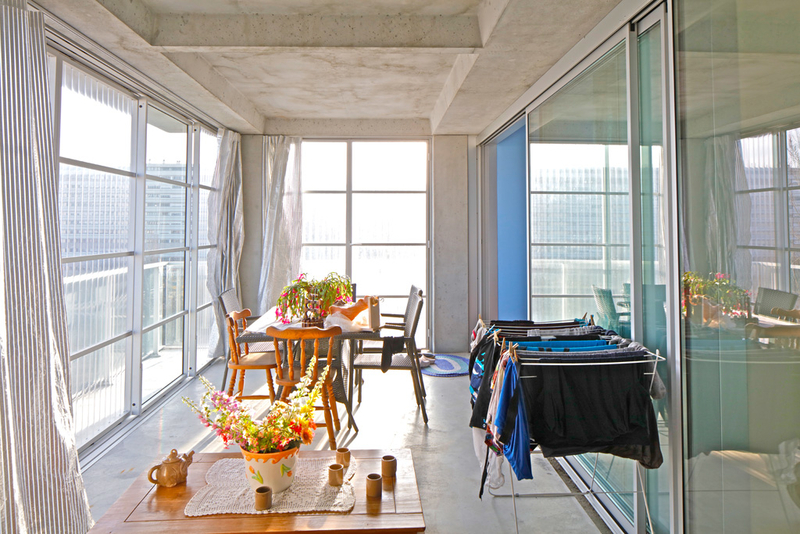 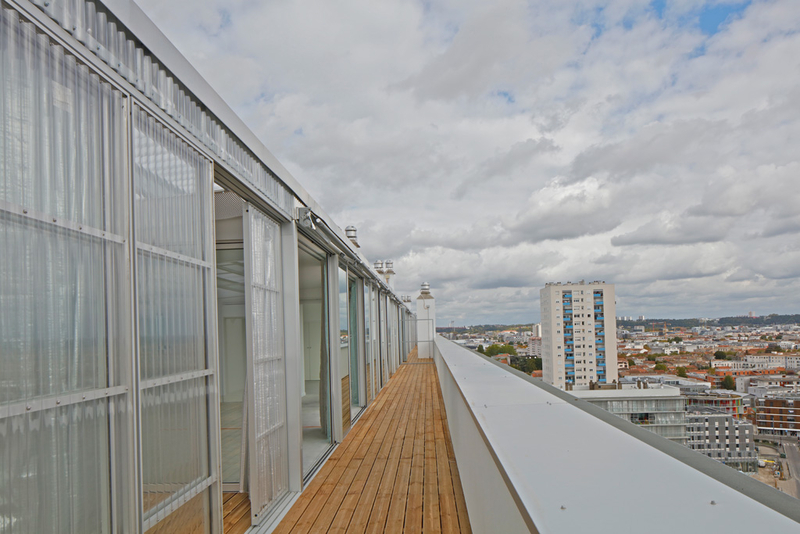 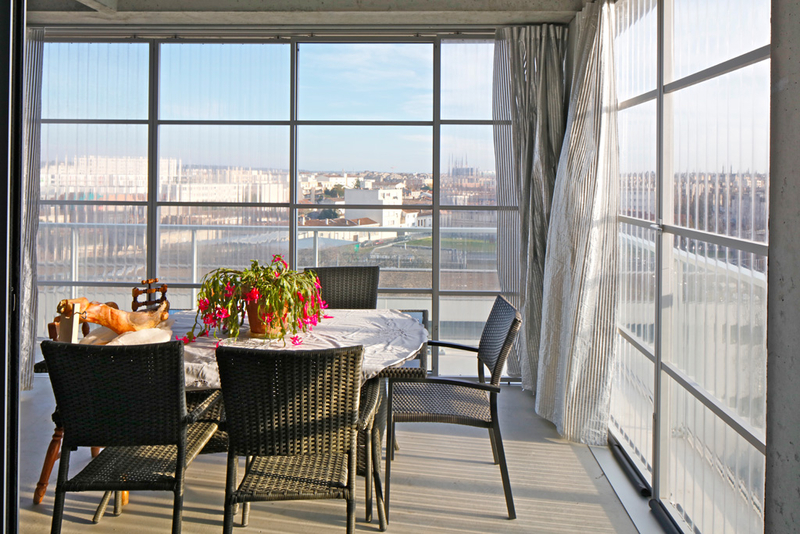 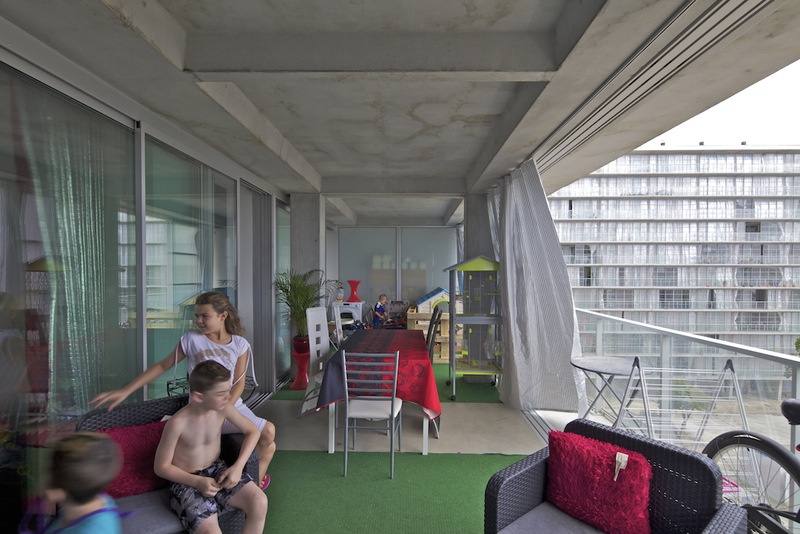 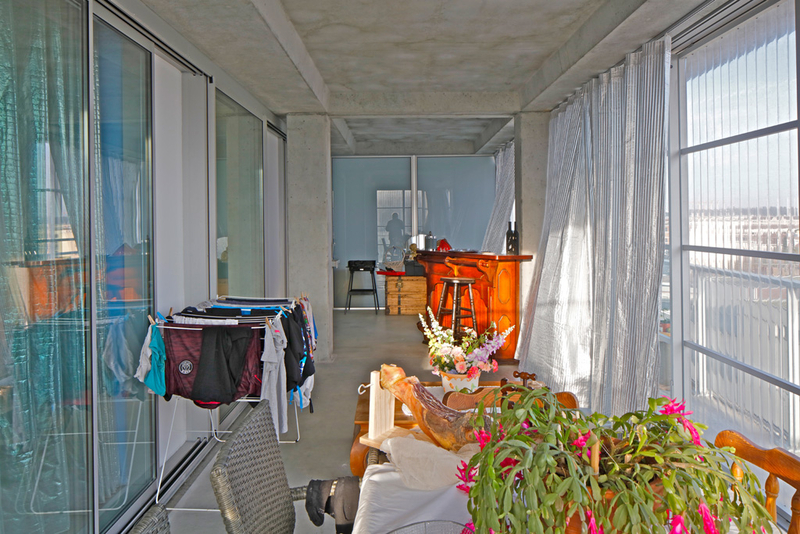 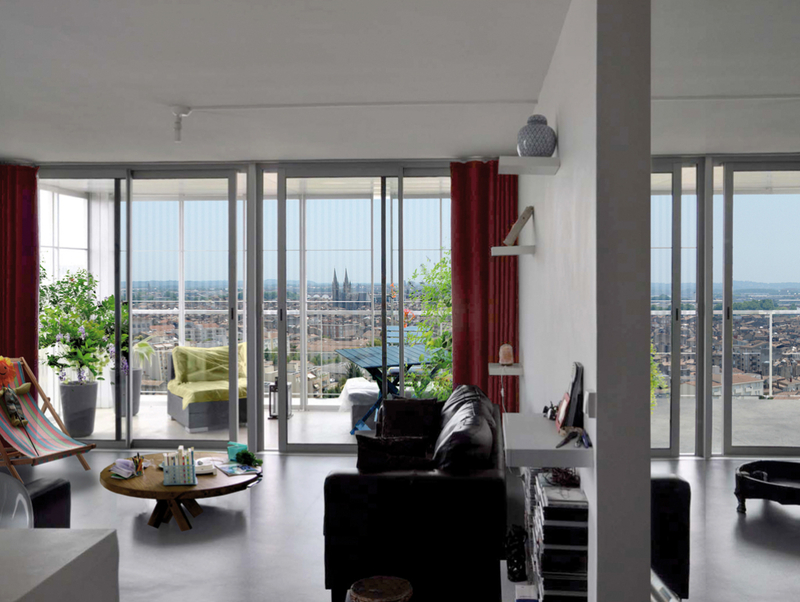 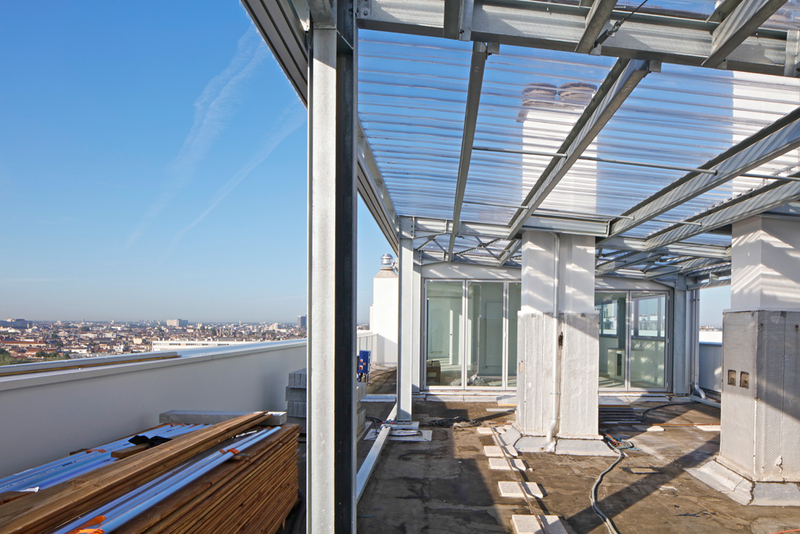 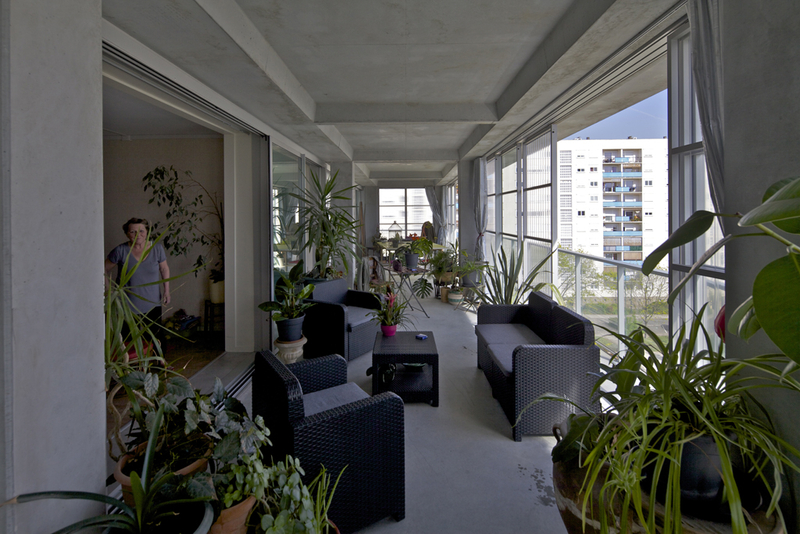 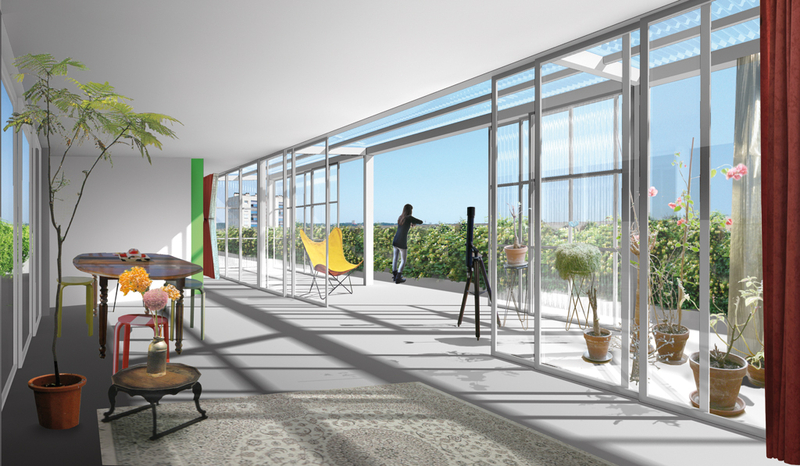 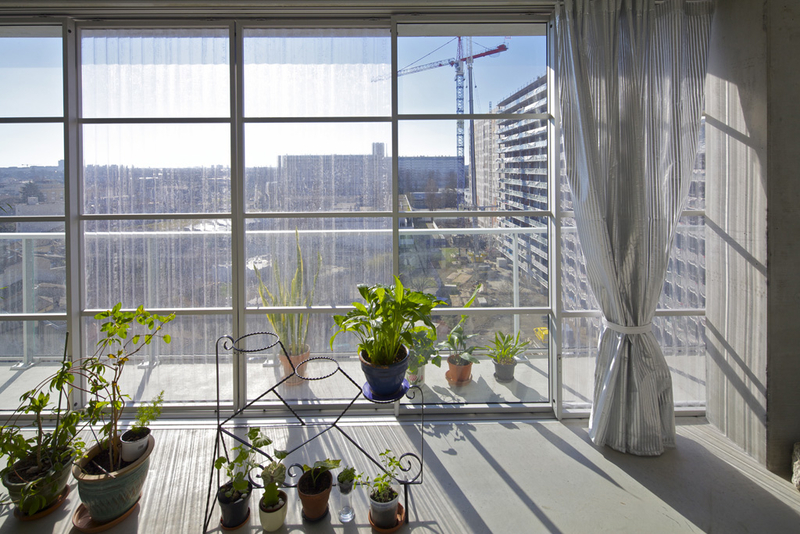 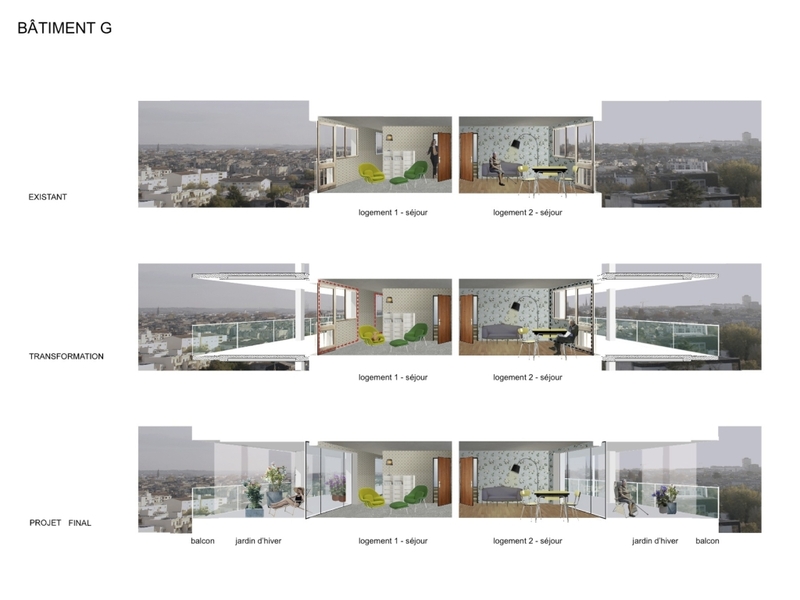 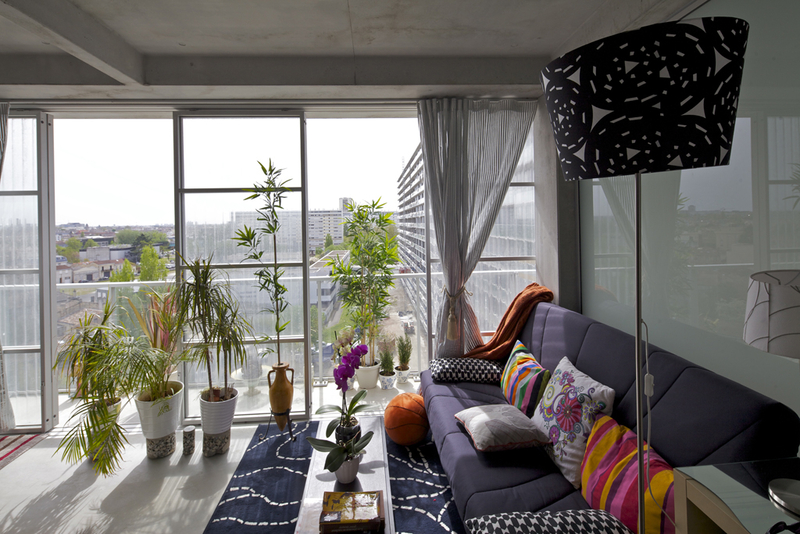 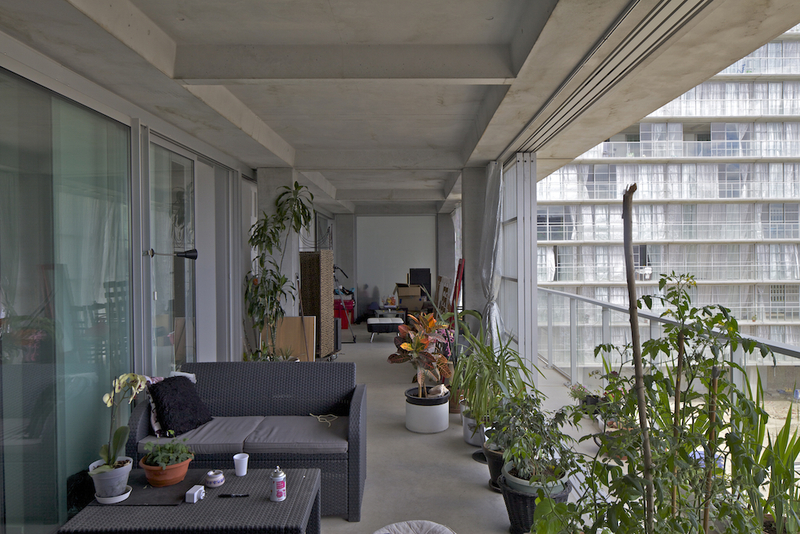 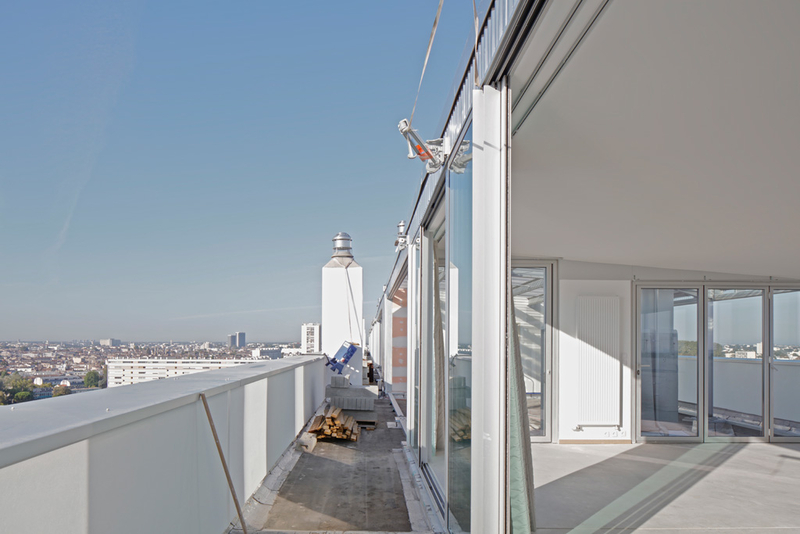 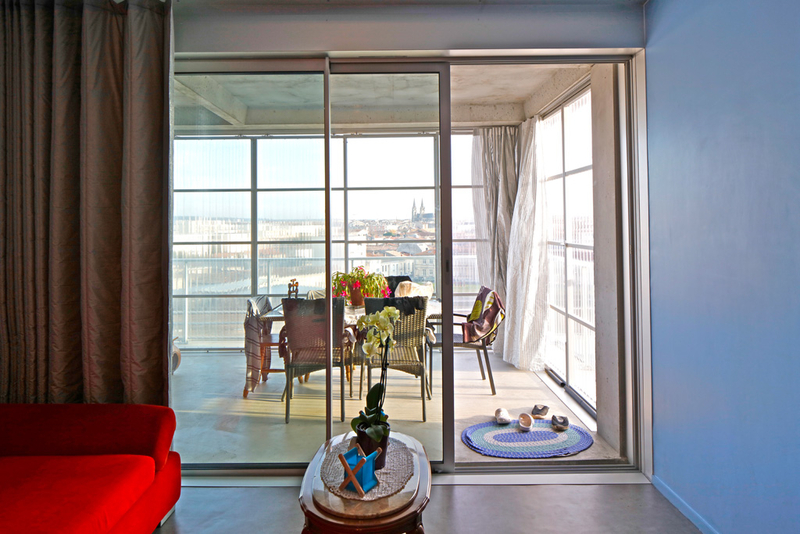 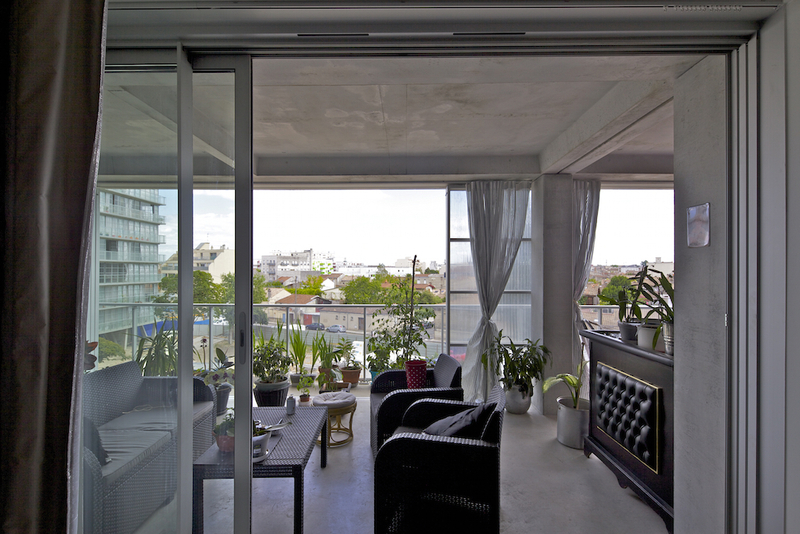 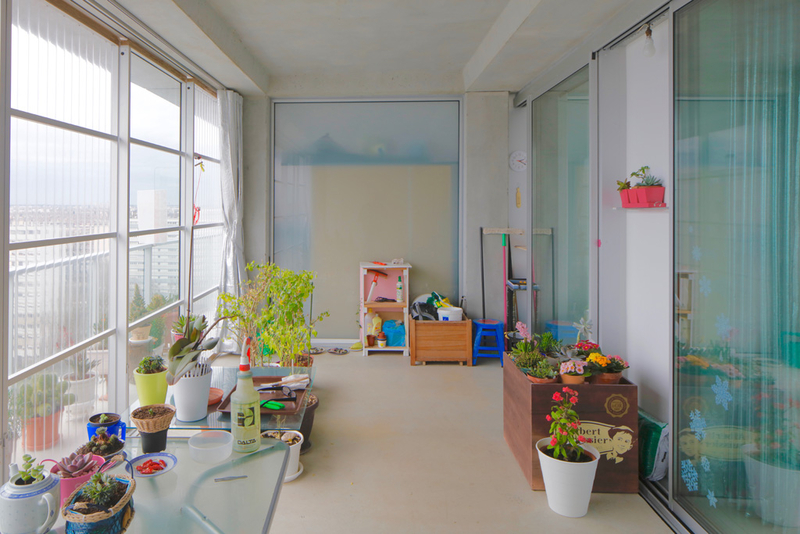 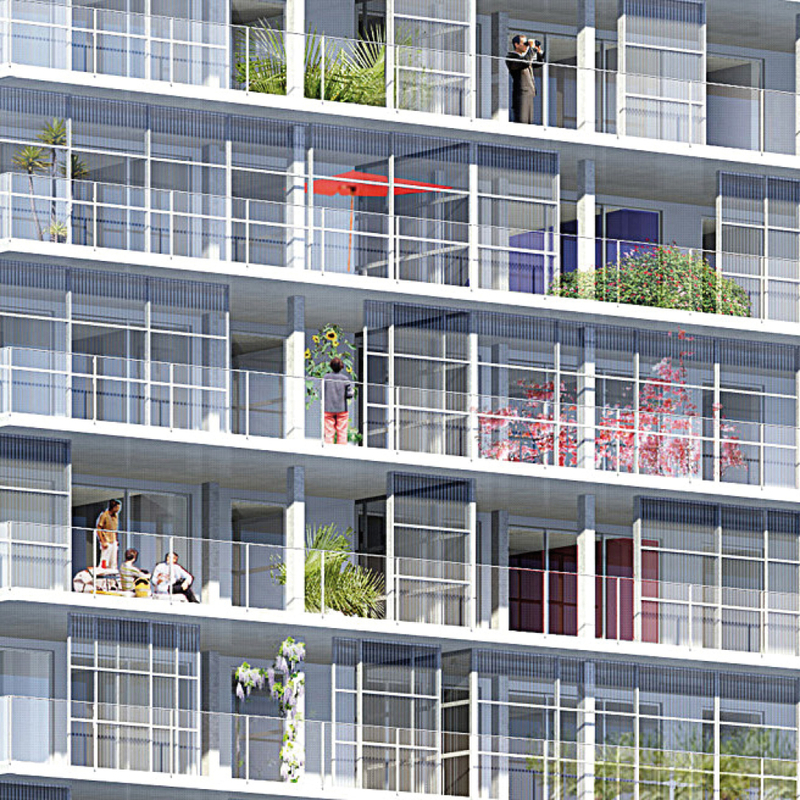 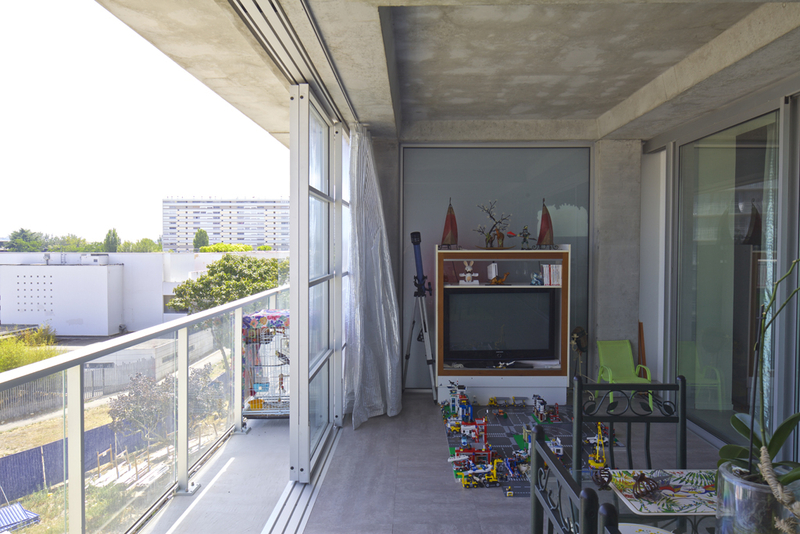 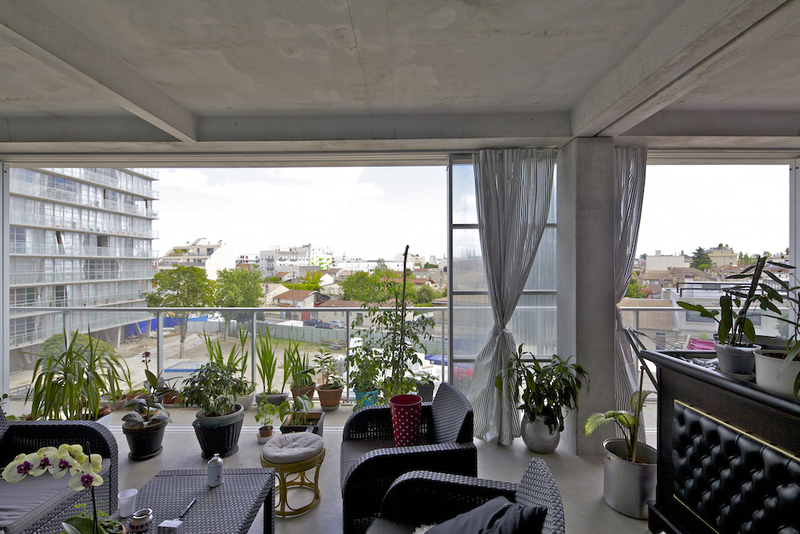 The addition of extended wintergardens and balconies give the opportunity, for each apartment, to enjoy more natural light, more fluidity of use and more views. 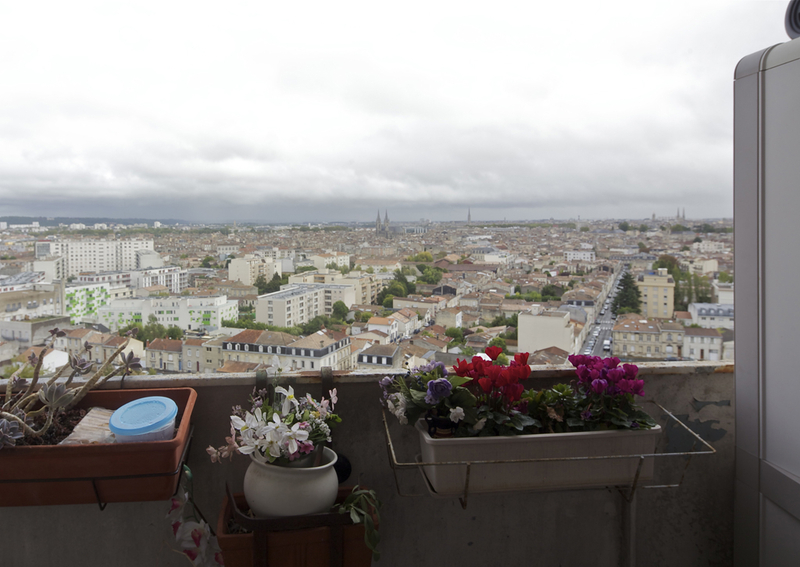 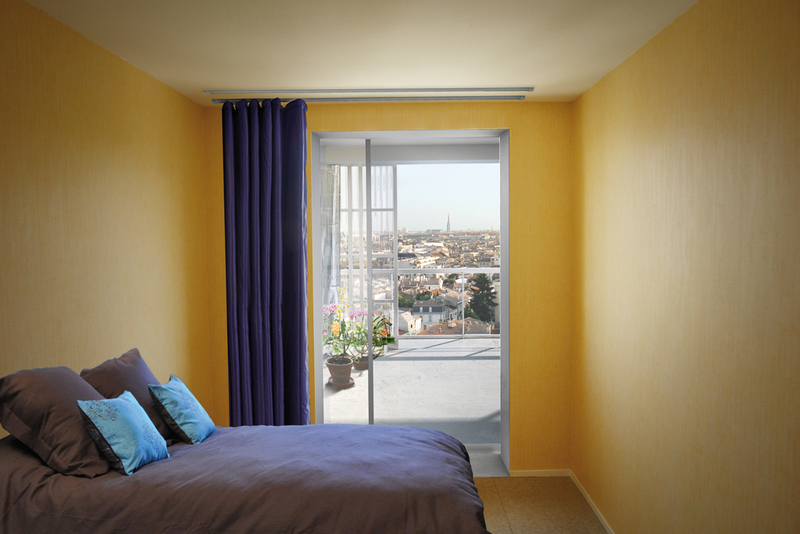 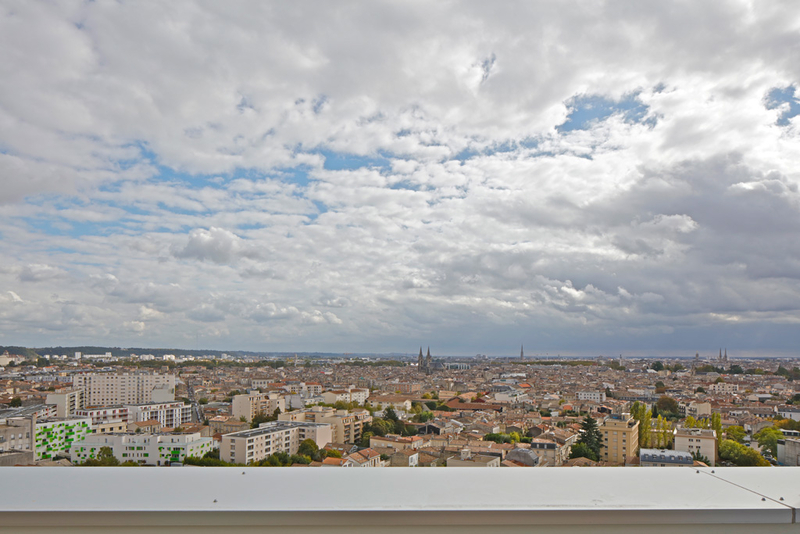 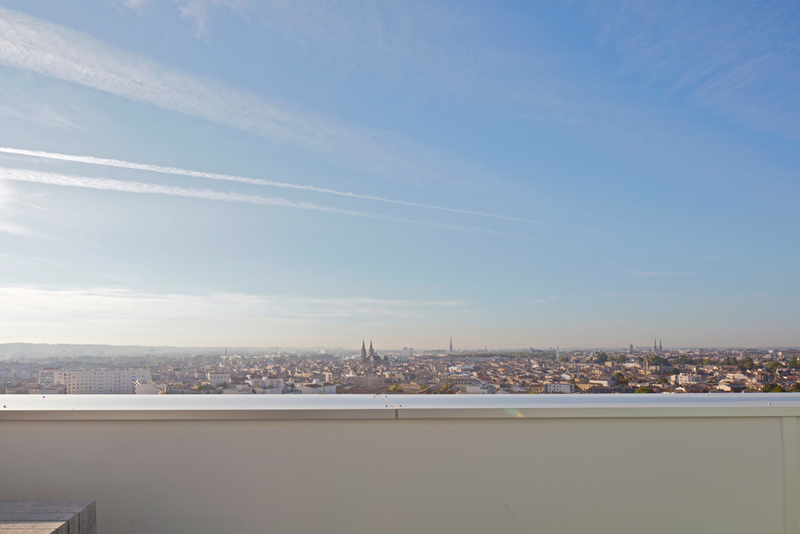 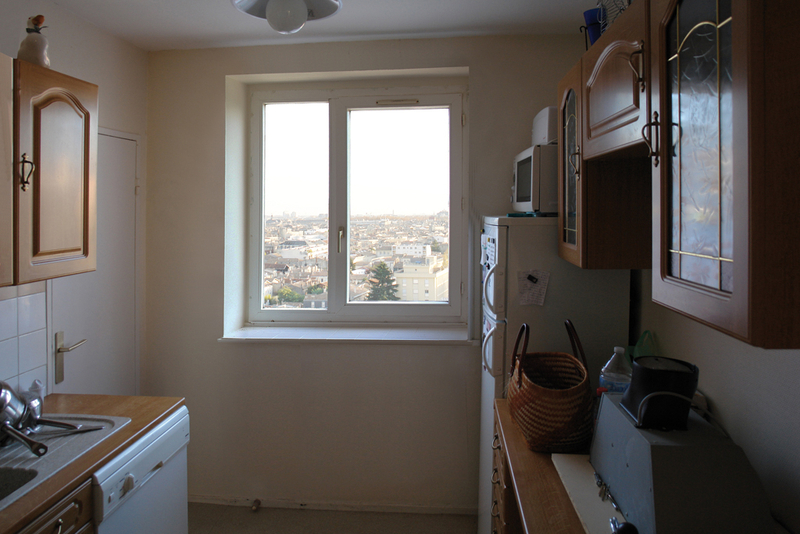 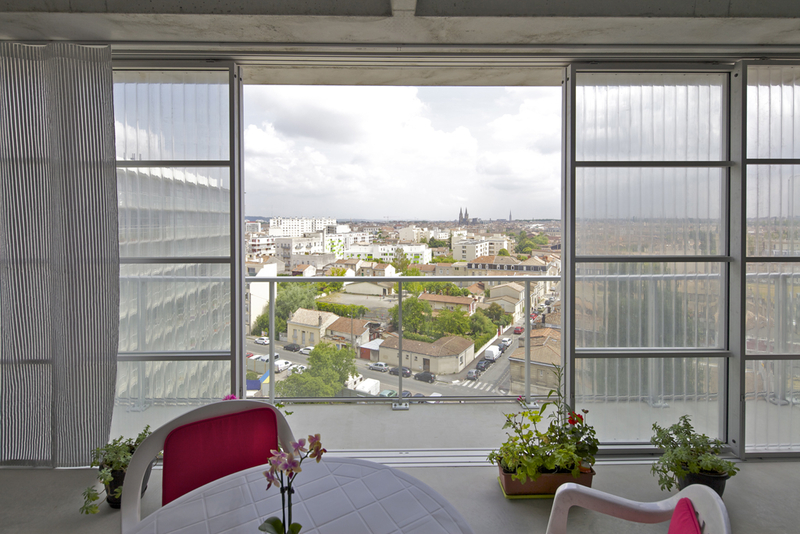 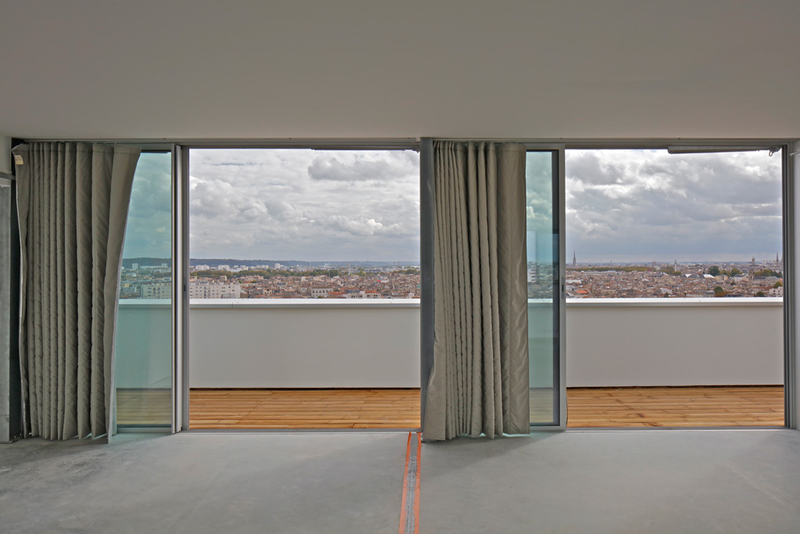 From the inside, the view on Bordeaux is panoramic and unique, due to the city low topography. 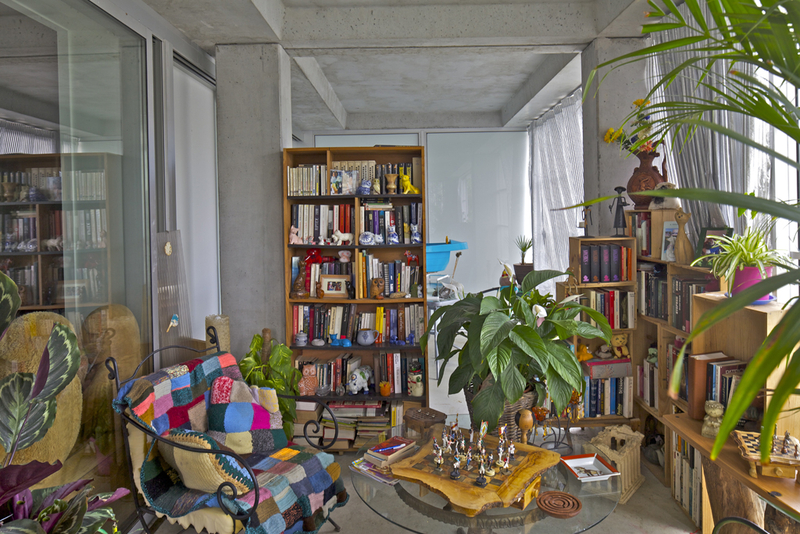 It is an extraordinary living situation. 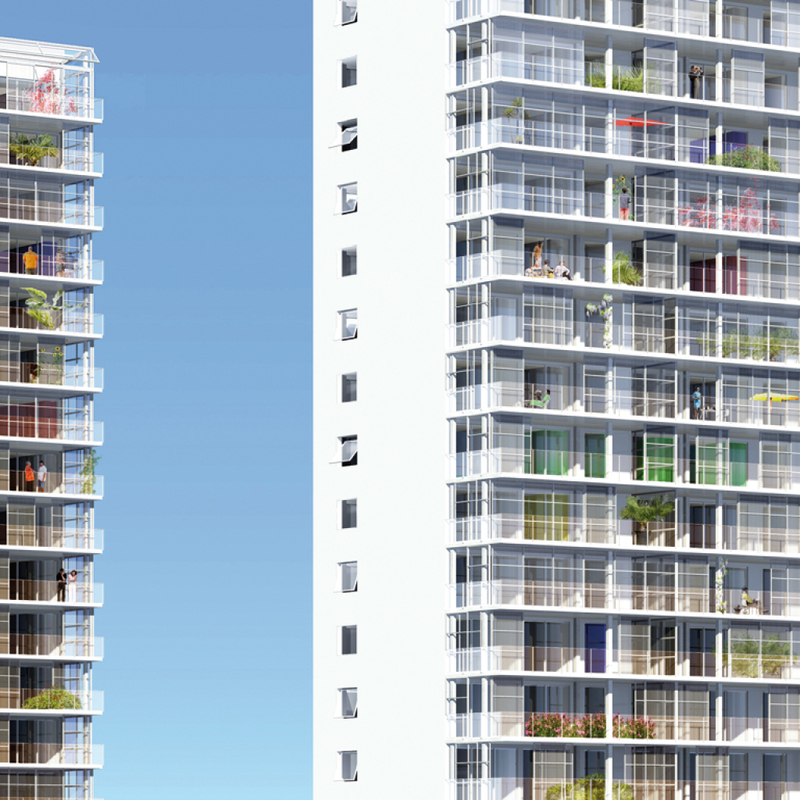 When the high-rise buildings for high-class residences are defined as examples of a responsible housing for the future, the G, H and I buildings offer the opportunity to reach these qualities right away, in a generous, economic and sustainable manner. 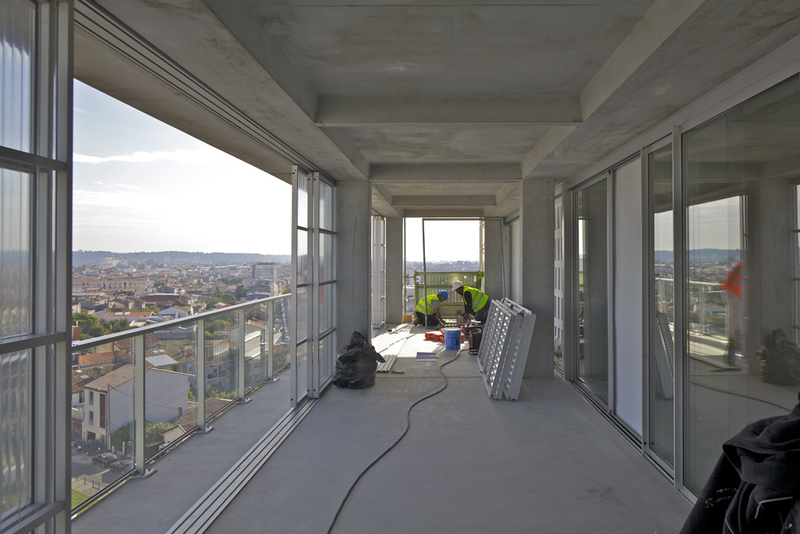 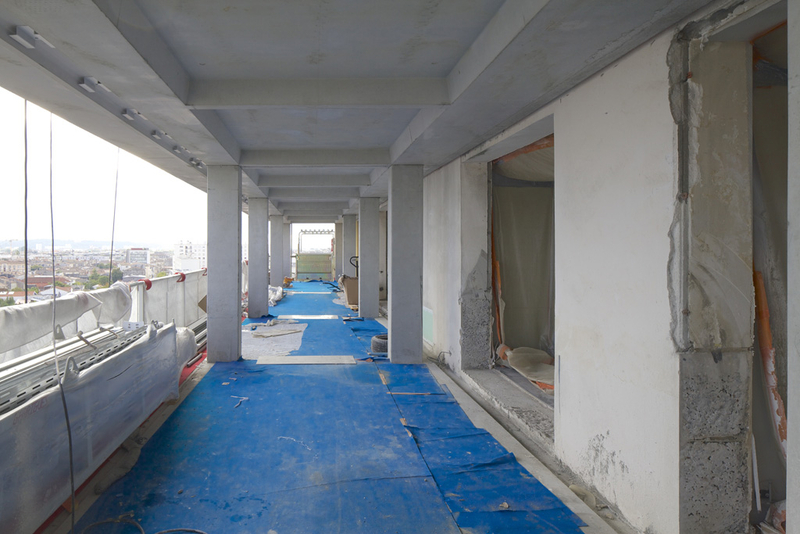 The general economy of the project is based on the choice of conserving the existing building without making important interventions on the structure, the stairs or the floors. 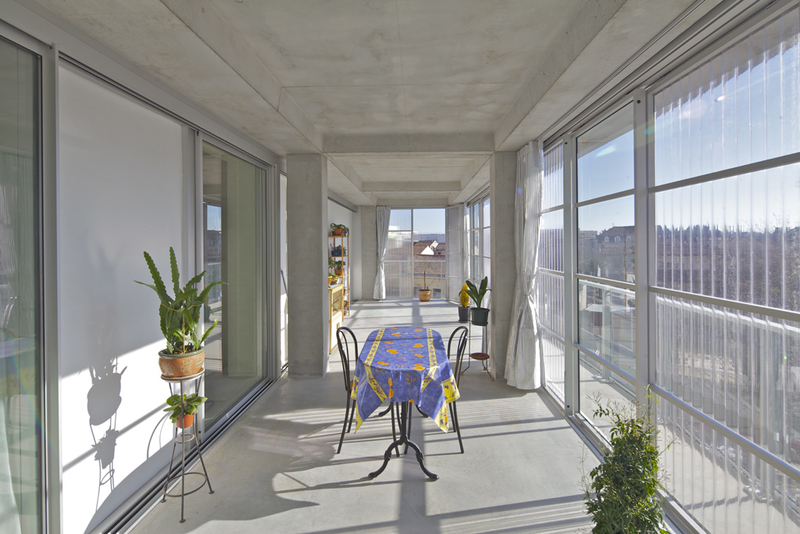 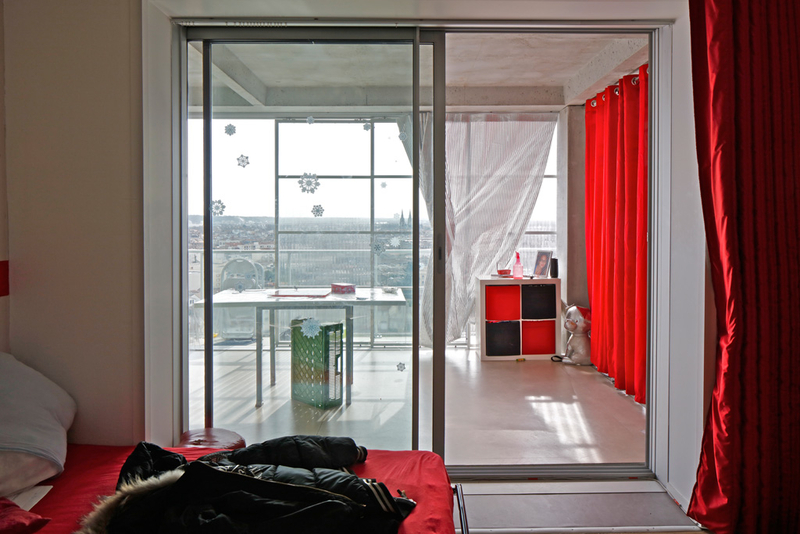 This approach on economy makes possible to focus the energy on generous extensions that are, according to us, the key to enhance in a lasting way the dwellings quality and dimension. 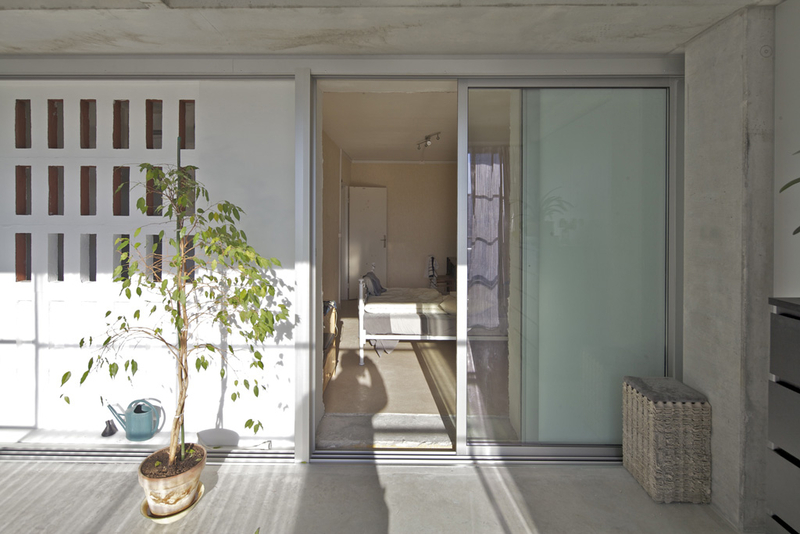 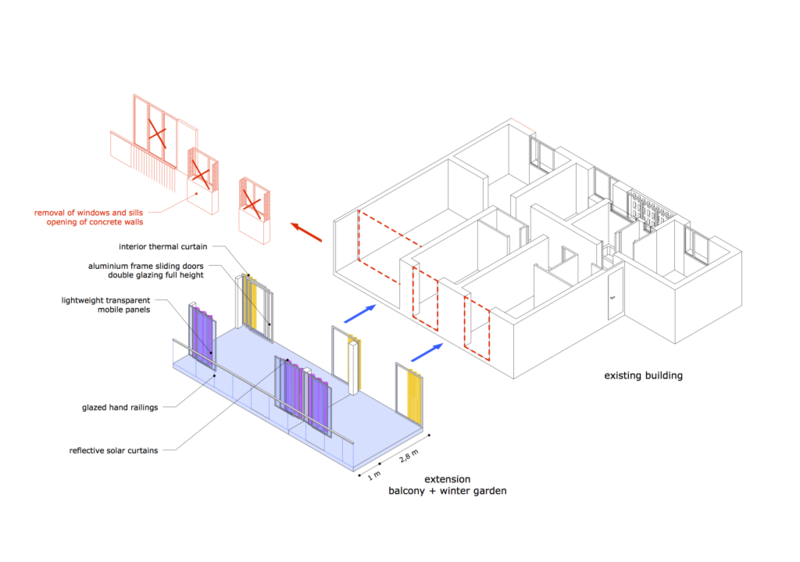 These extensions widen the space of use and the evolution of the dwelling and give the opportunity, as in a house, to live outside, while being home. 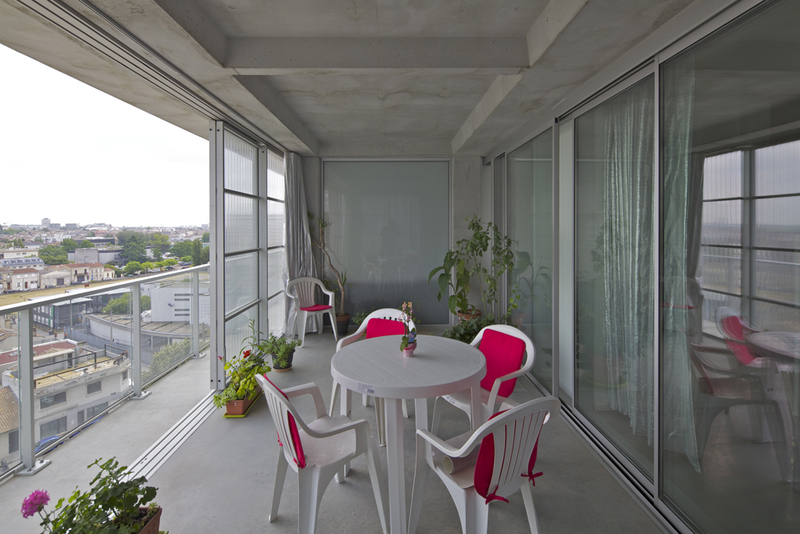 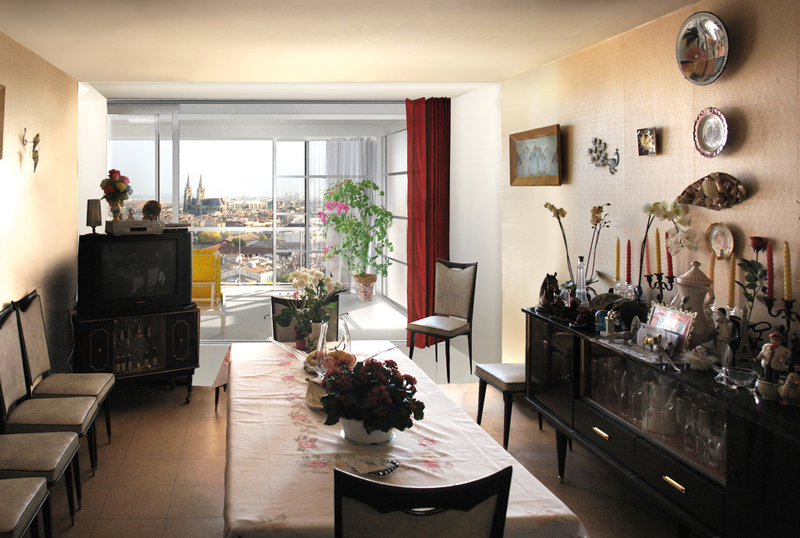 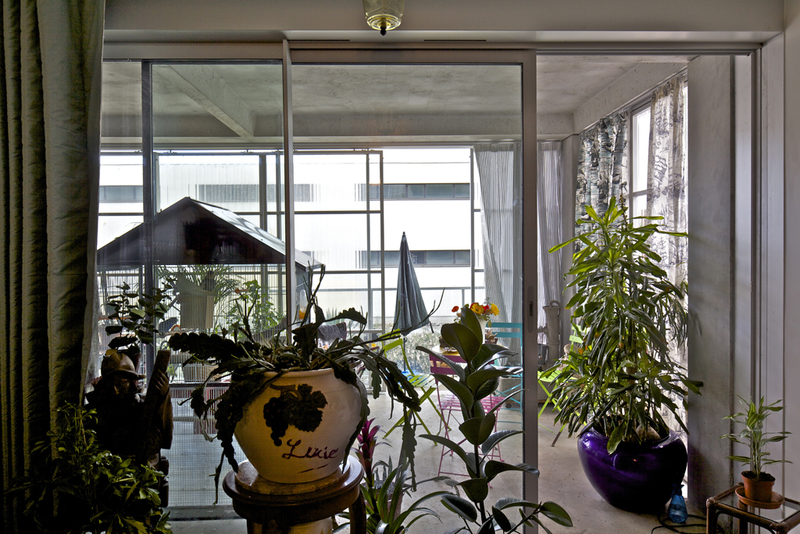 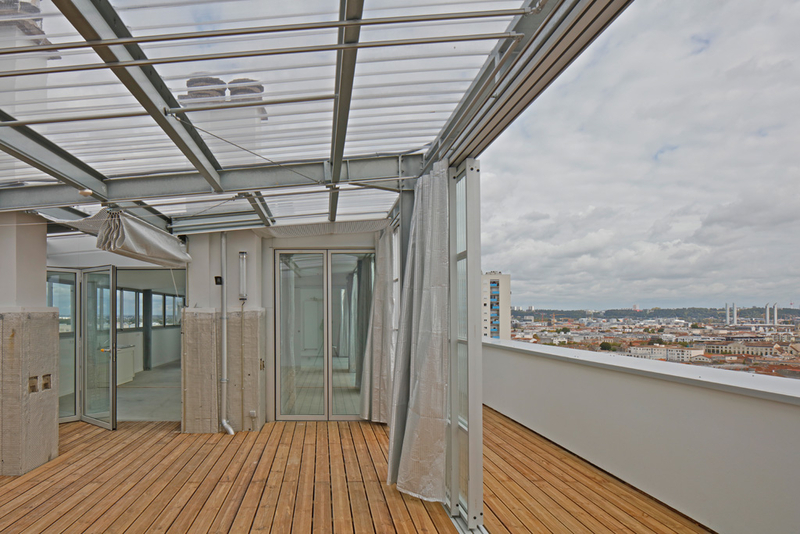 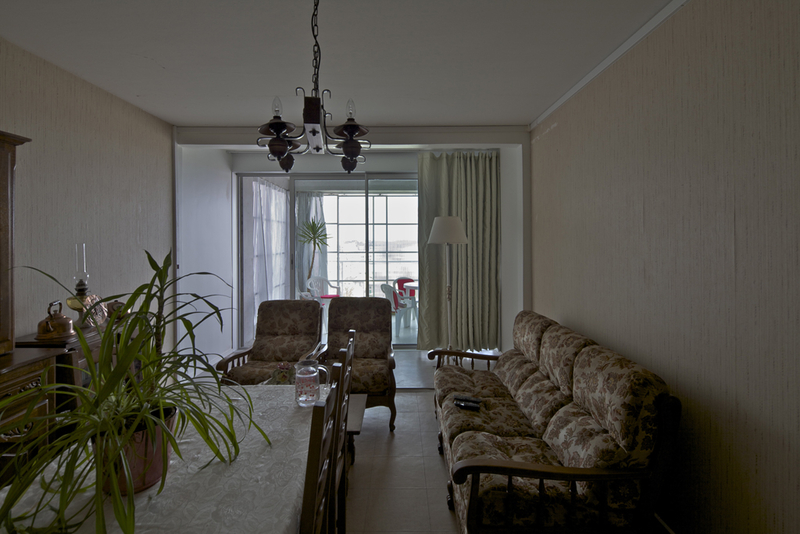 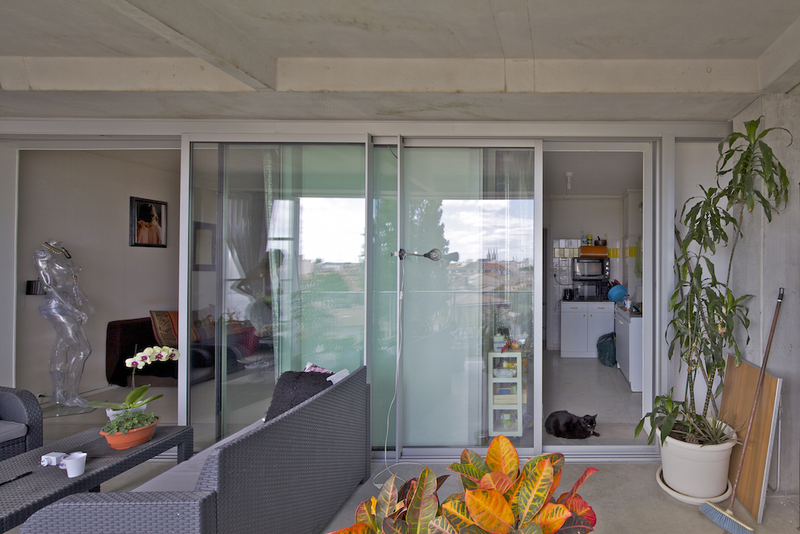 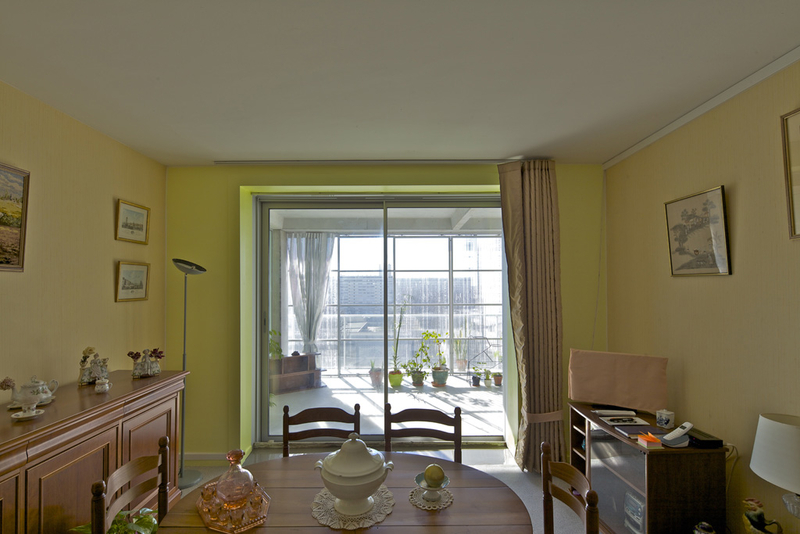 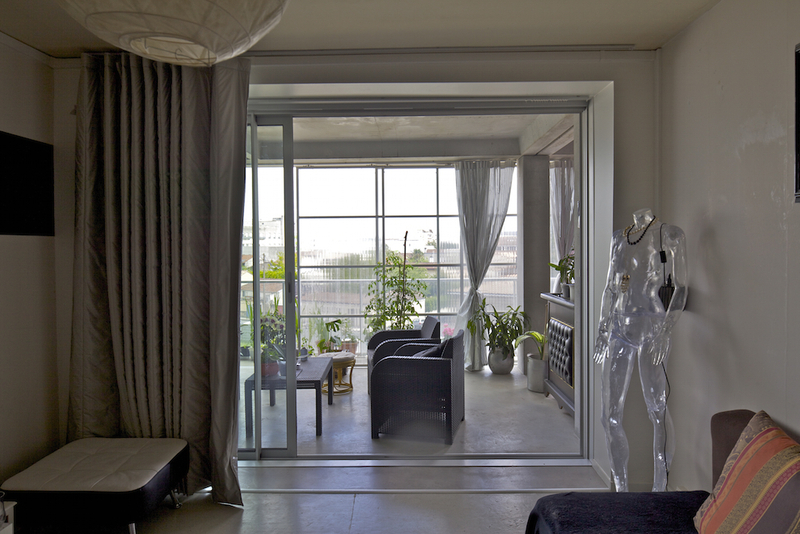 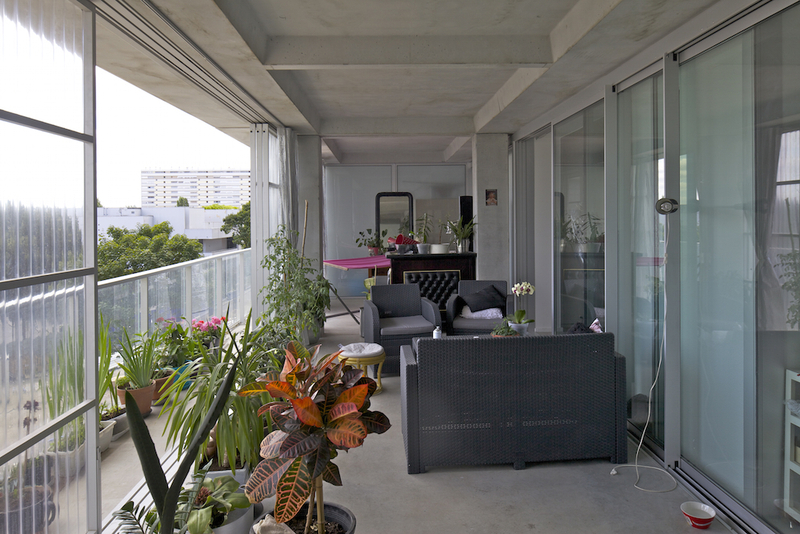 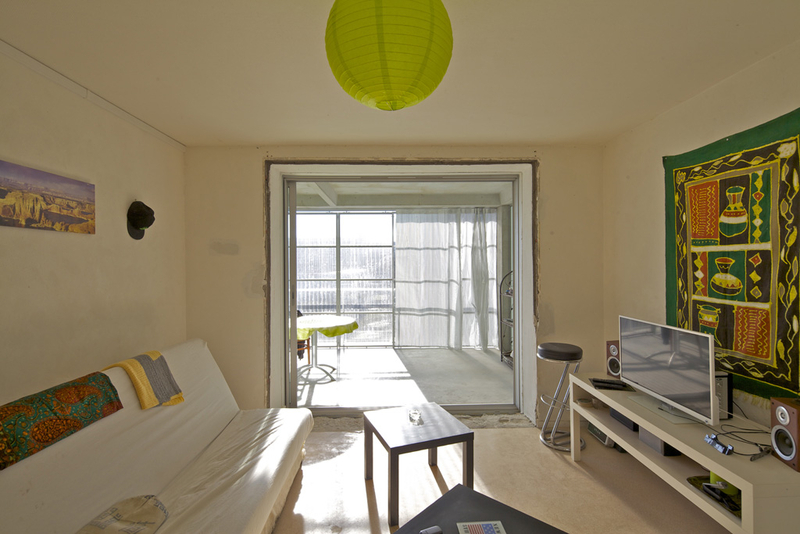 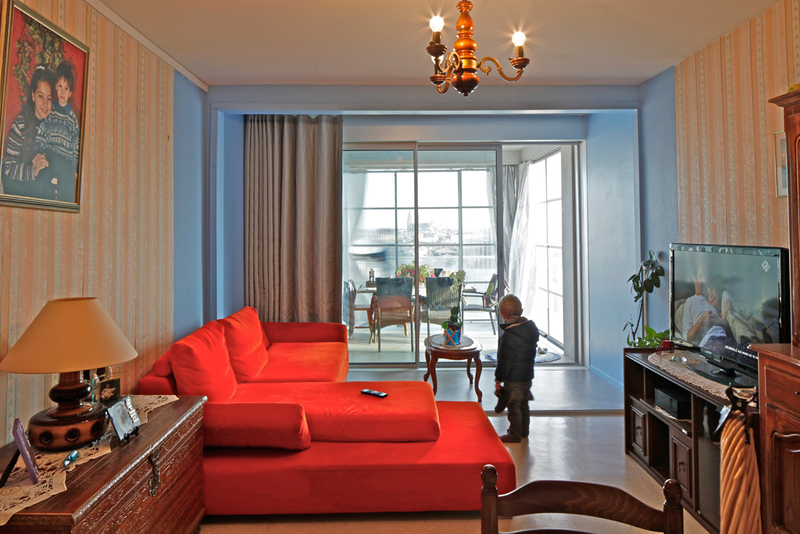 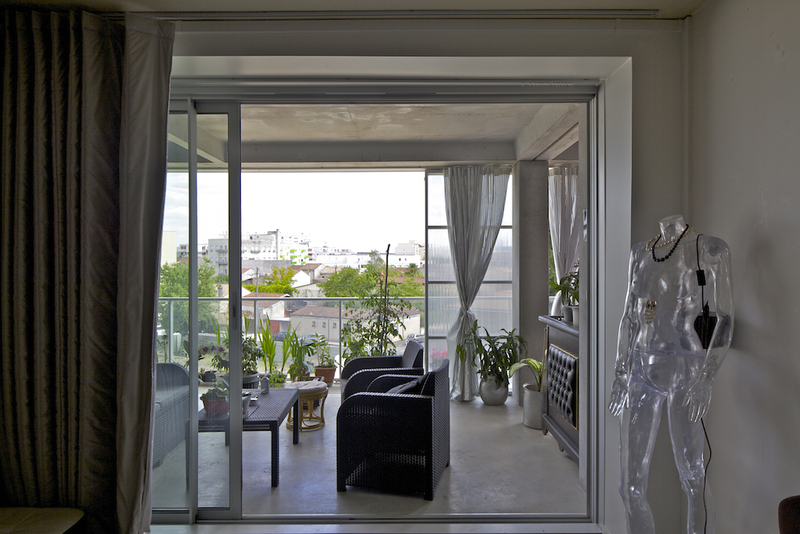 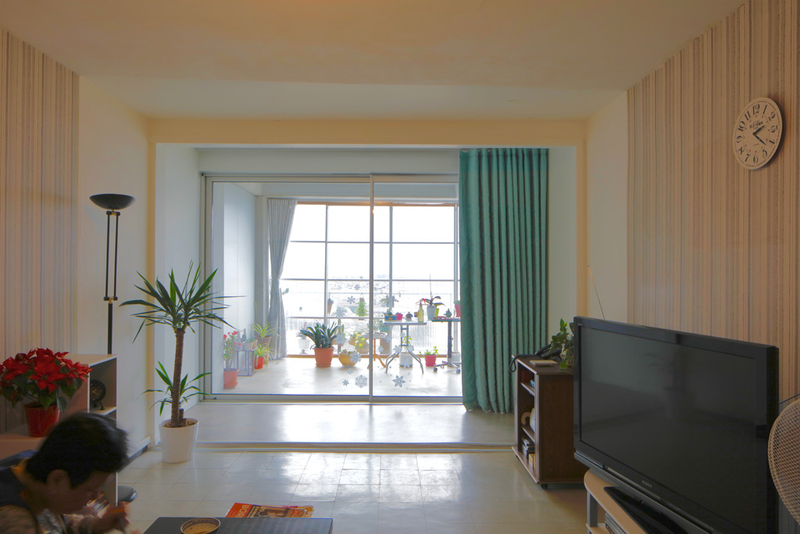 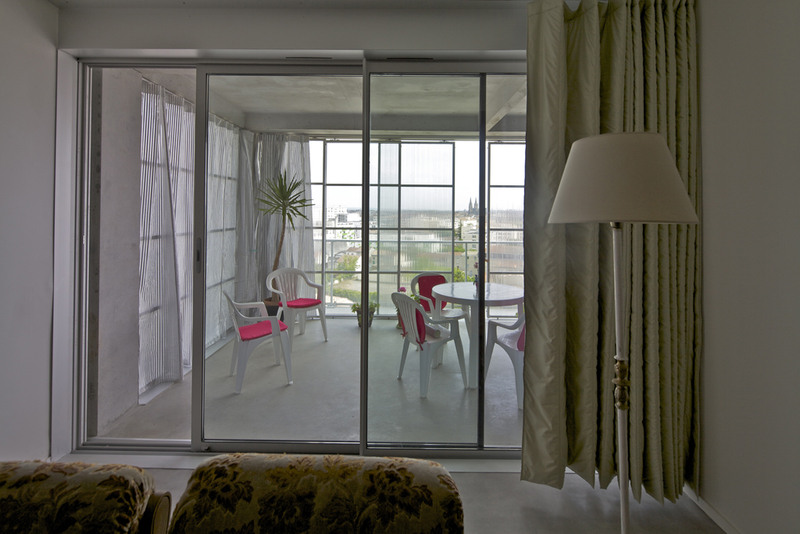 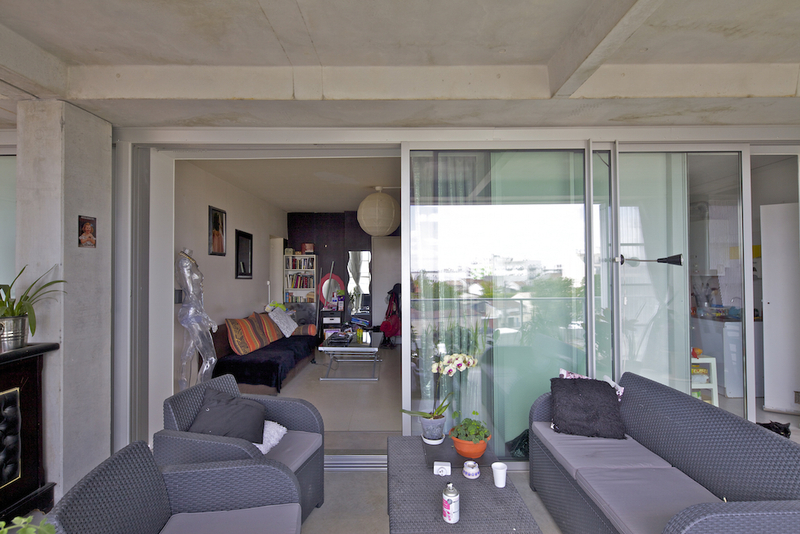 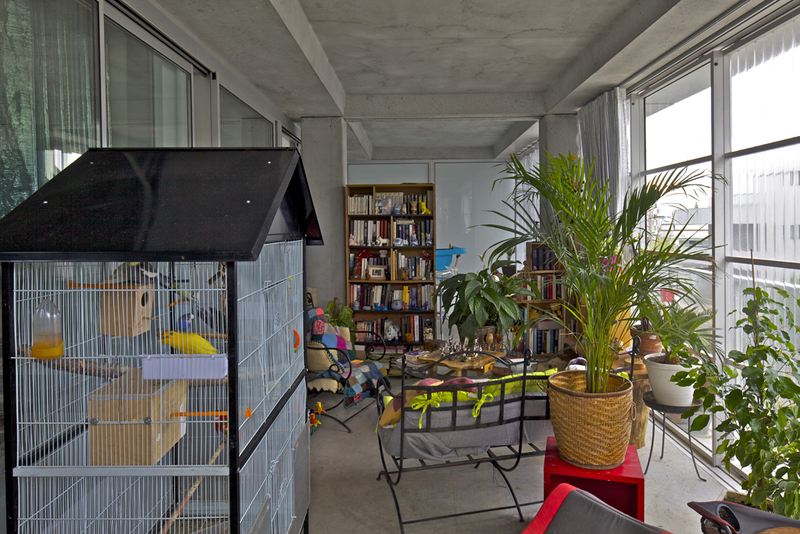 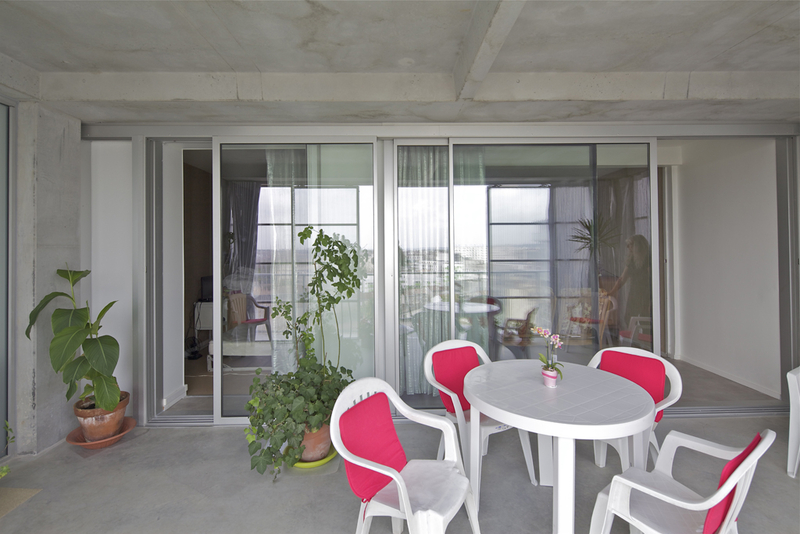 The apartments open on to large wintergardens and balconies, and offer pleasant outdoor spaces, large enough to be fully used : 3,80m deep on the south facades of H and I building and the 2 façades of G building. 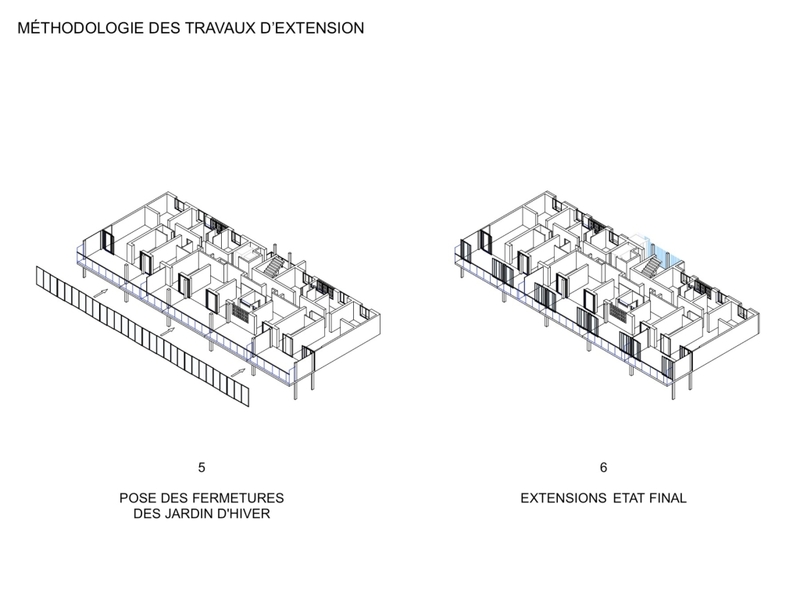 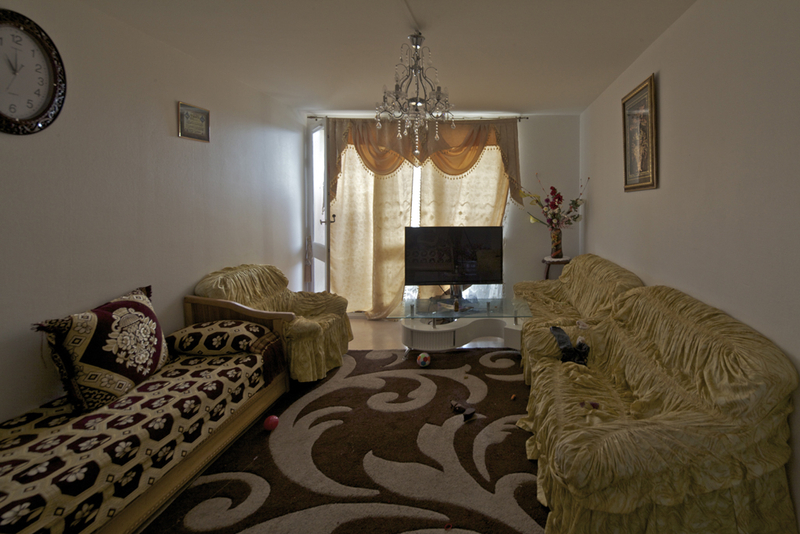 Interior improvement interventions and restructuration of the bathrooms are also planned. 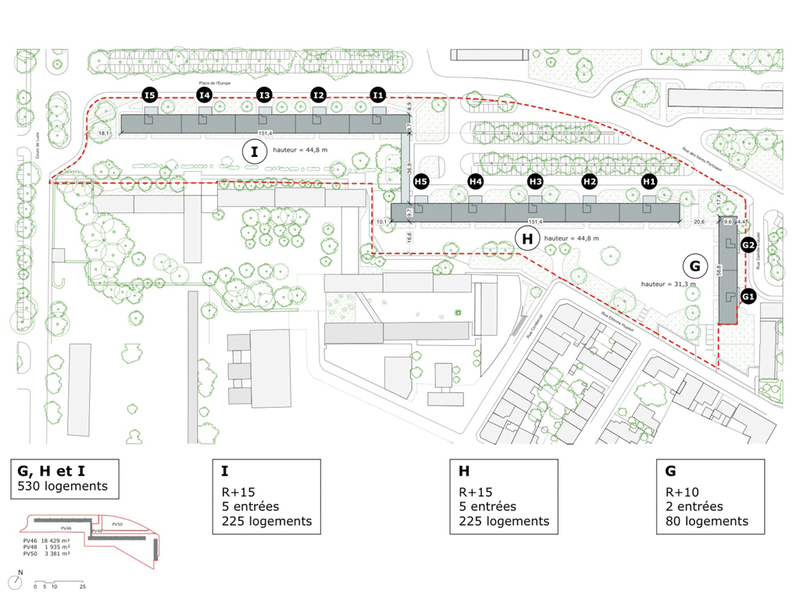 The gardens down the buildings are improved, their access and use are made easier. 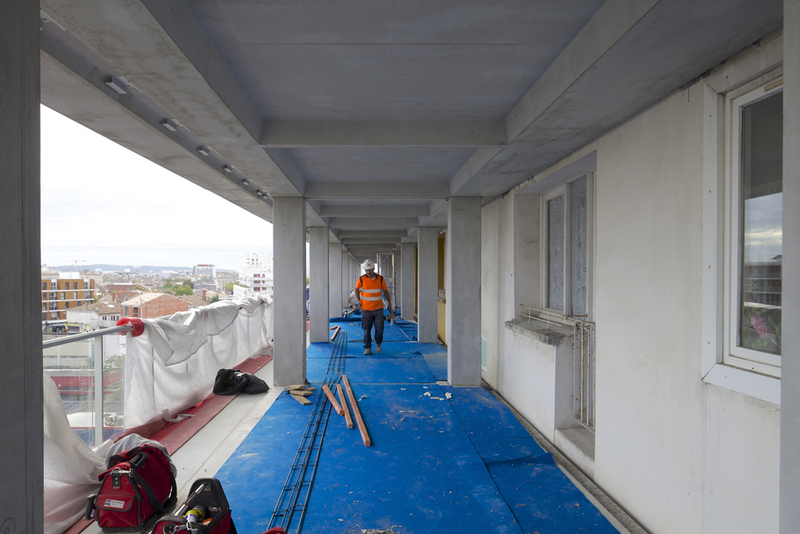 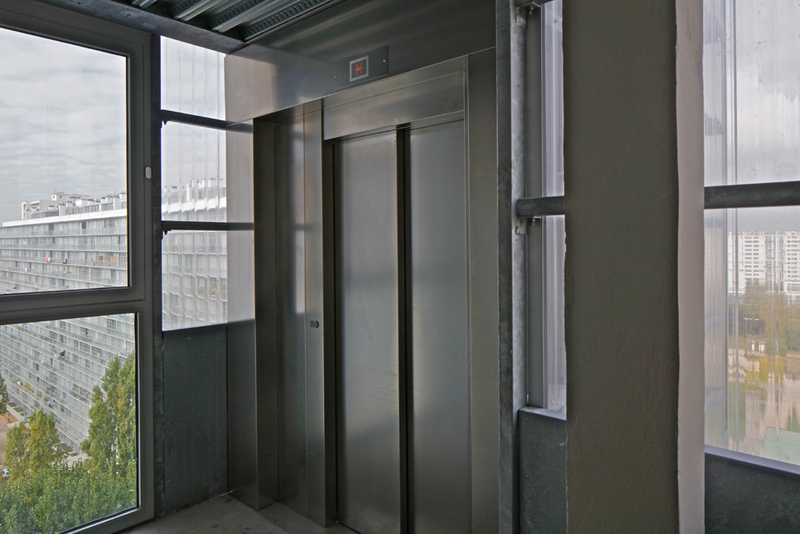 The project also deals with the global performance of the building envelope, the reconfiguration of vertical circulations and access halls. 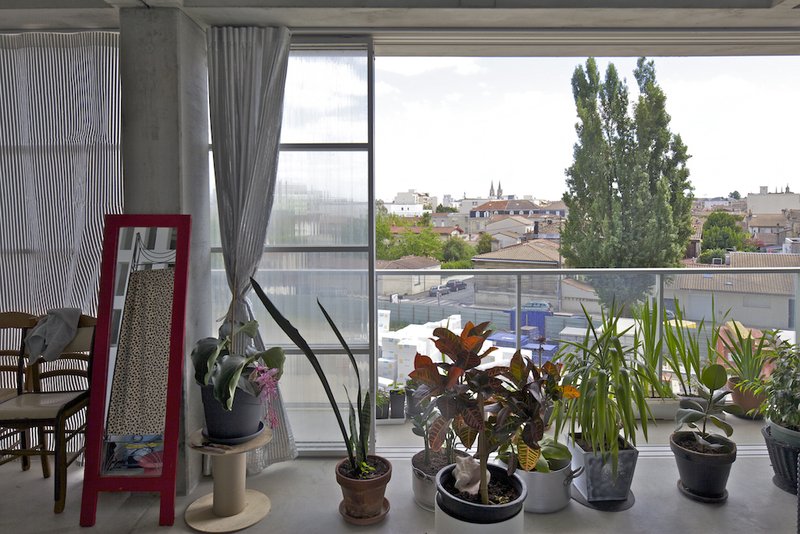 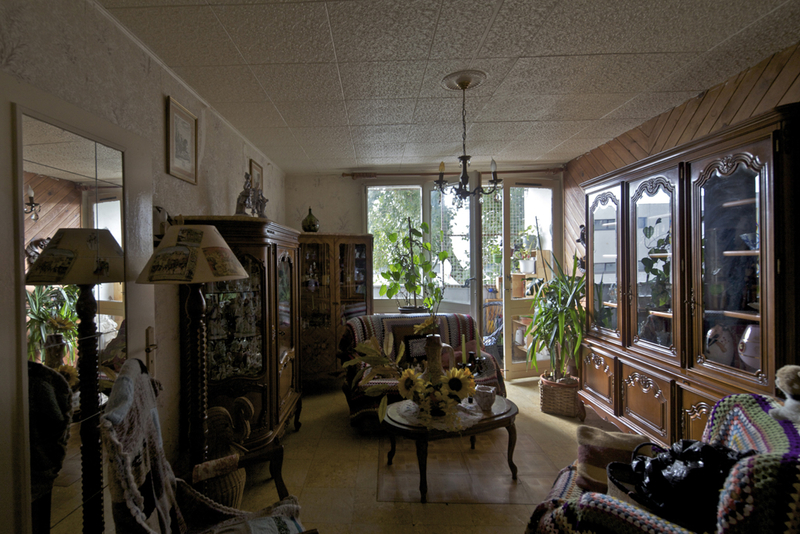 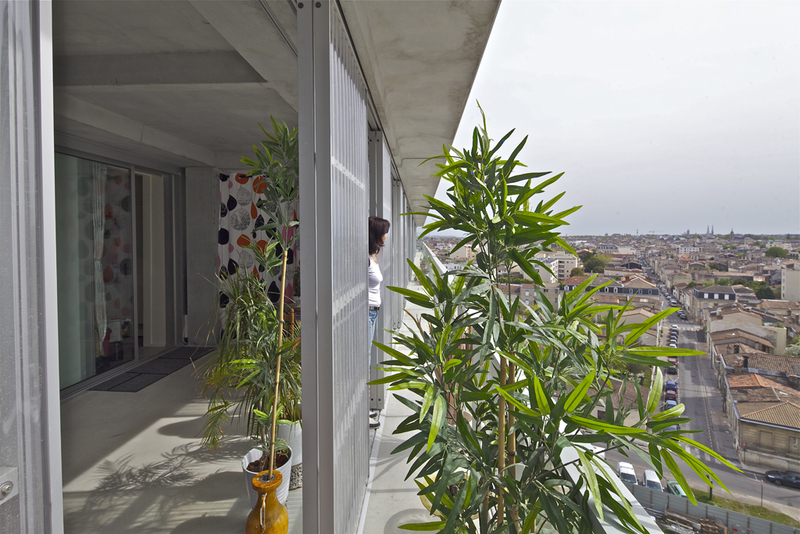 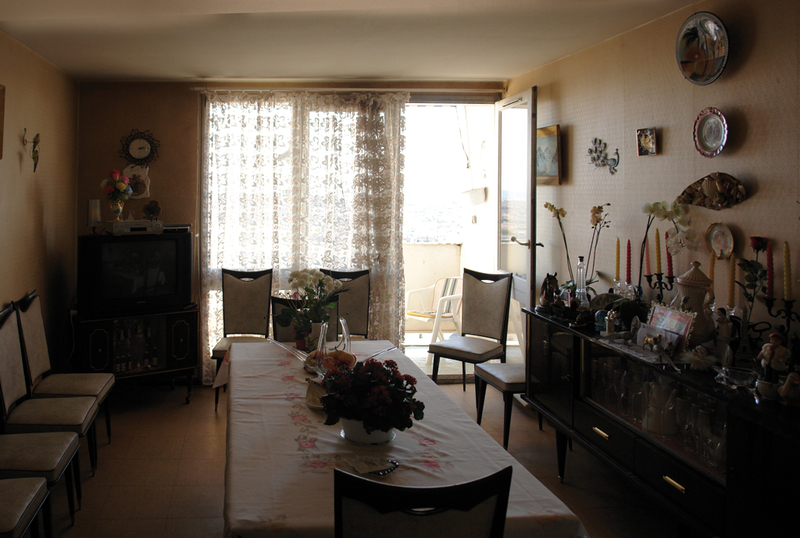 Through this project, the social housing, built heritage often criticized, shows the example of a relevant and economic transformation that produces - from an existing judged lacking in qualities and seen in a negative way - generous , pleasant and performing dwellings, that renew the typologies and the living conditions, comfort and pleasure, and improve the urban dwelling image. 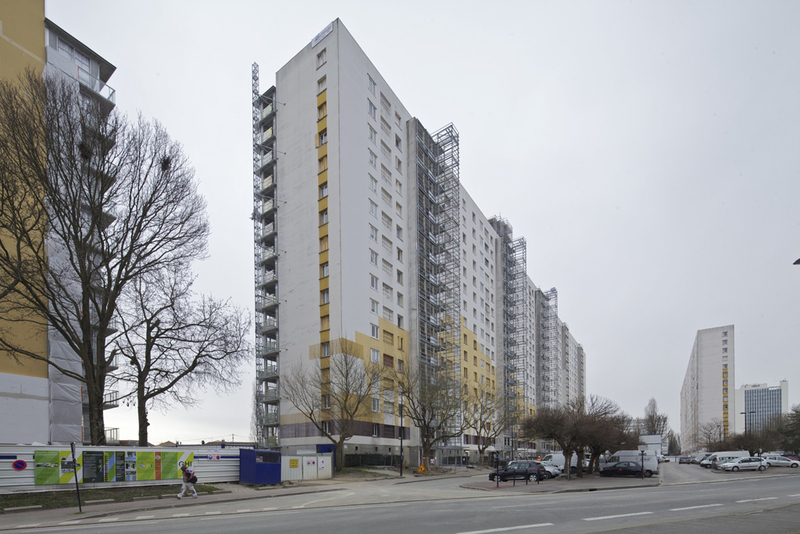 Le projet concerne la transformation de 3 immeubles de logements sociaux occupés, première phase d’un programme de rénovation de la Cité du Grand Parc à Bordeaux. 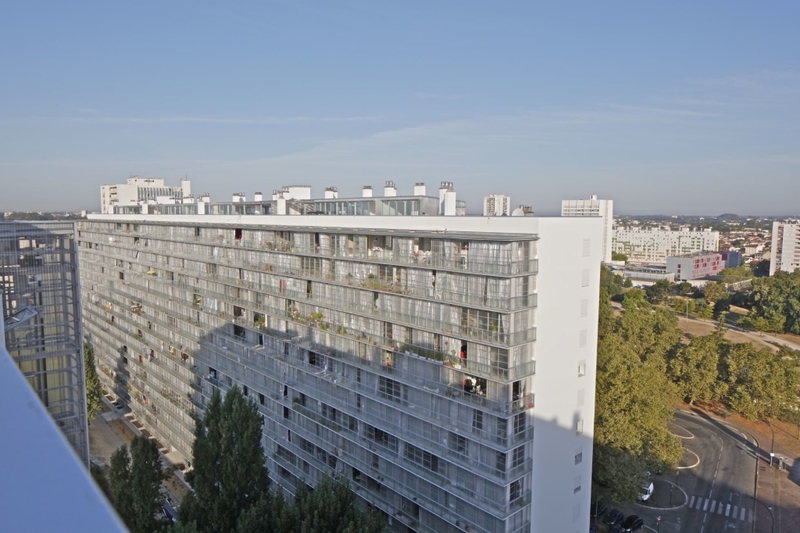 Construite au début des années 1960 cette cité urbaine compte plus de 4000 logements. 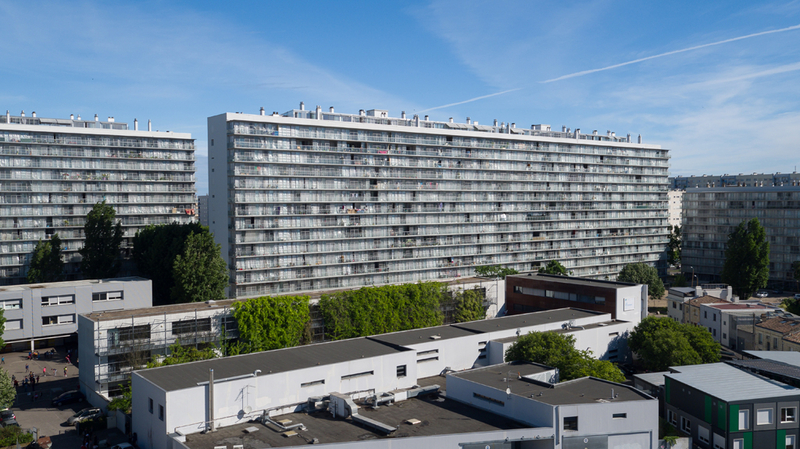 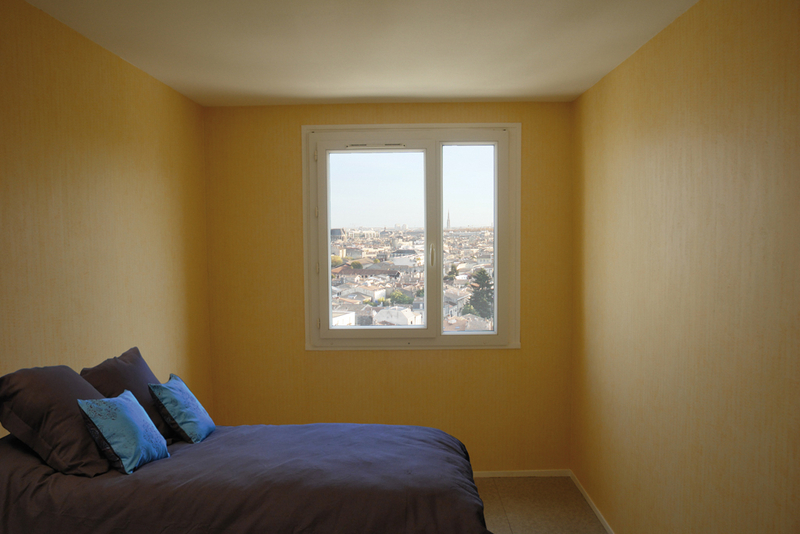 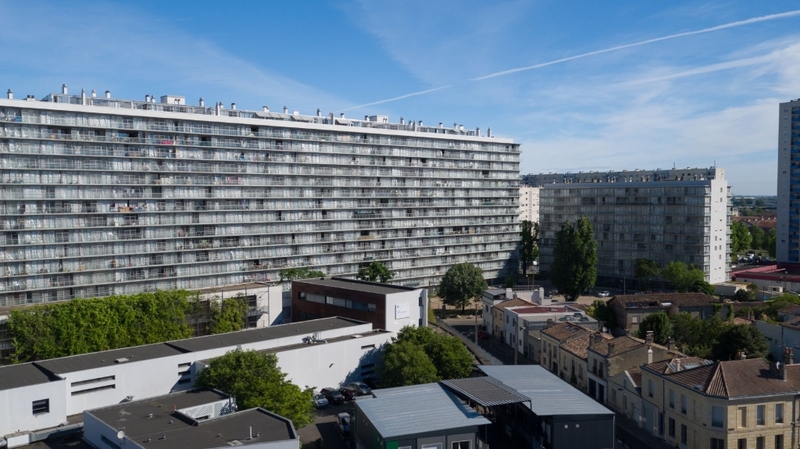 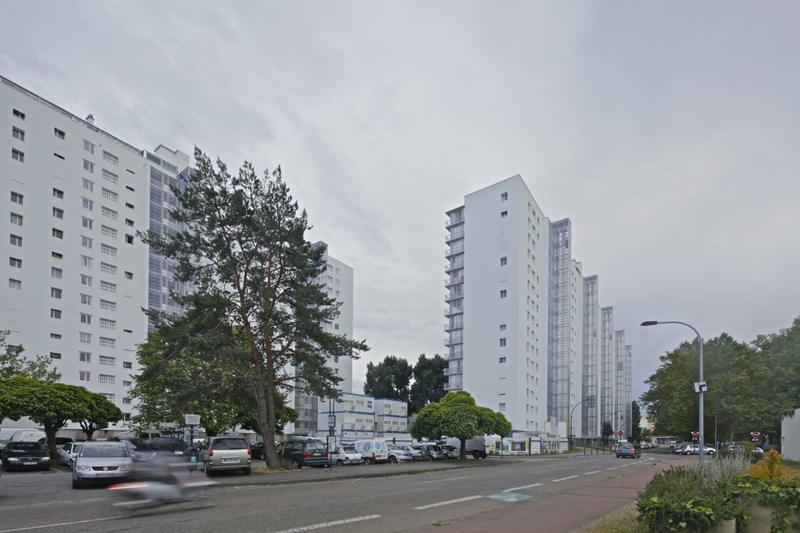 Les trois immeubles G, H et I de 10 et 15 niveaux regroupent 530 logements, ils offrent la capacité à se transformer et à offrir de très beaux logements dont les qualités et le confort seront re-définis à long terme. 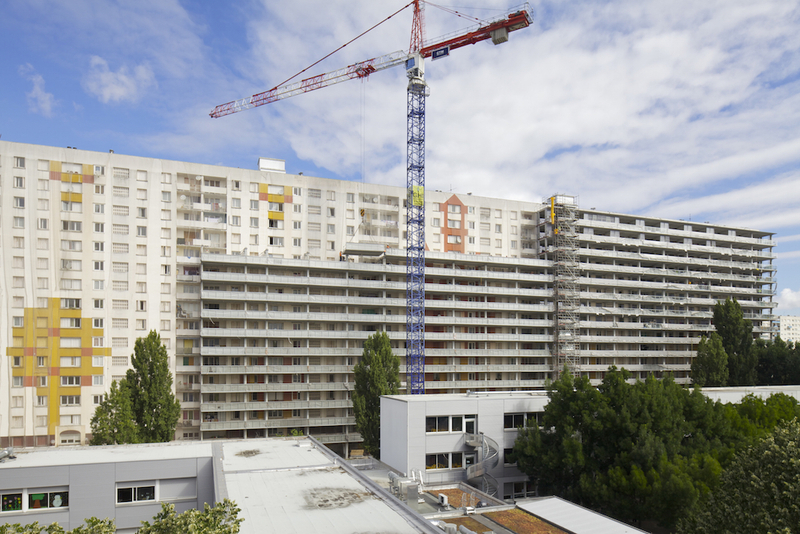 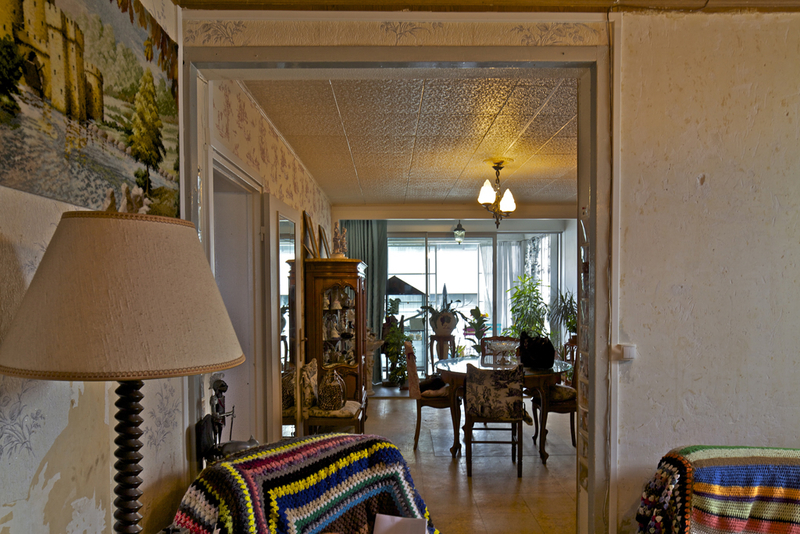 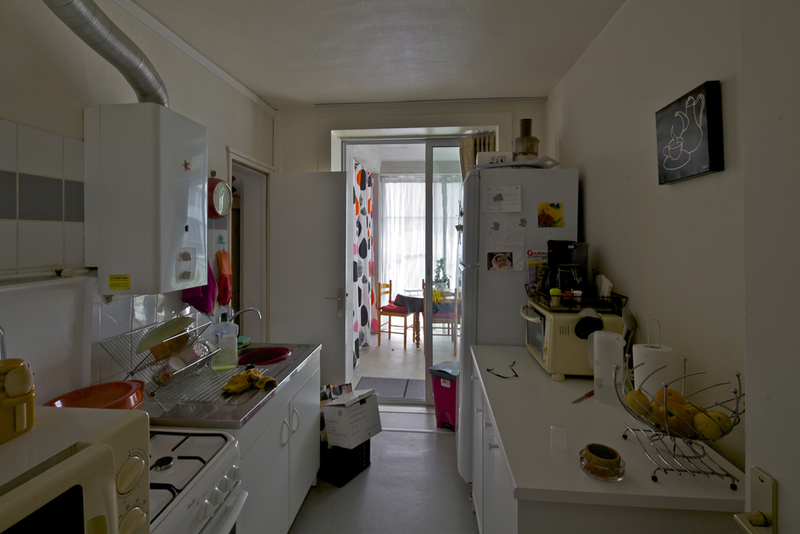 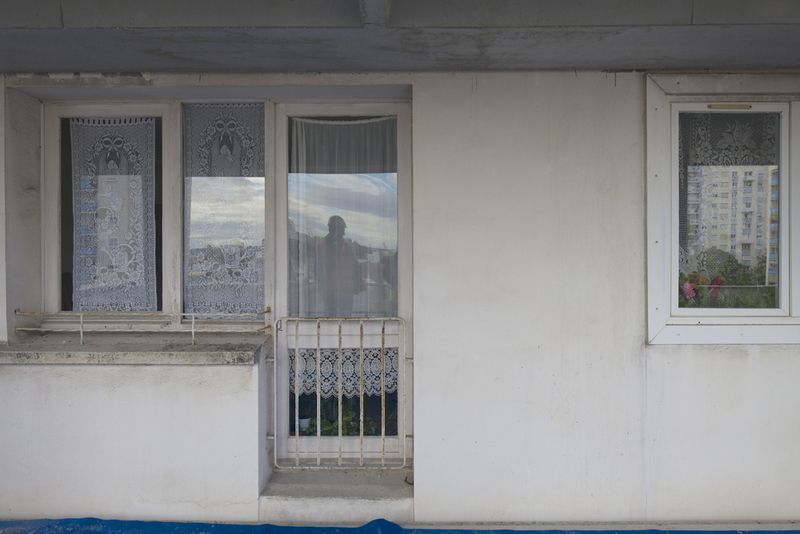 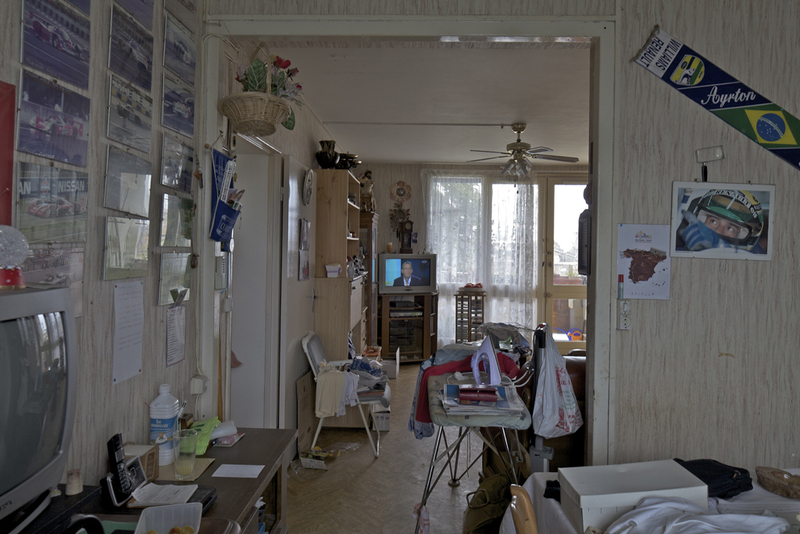 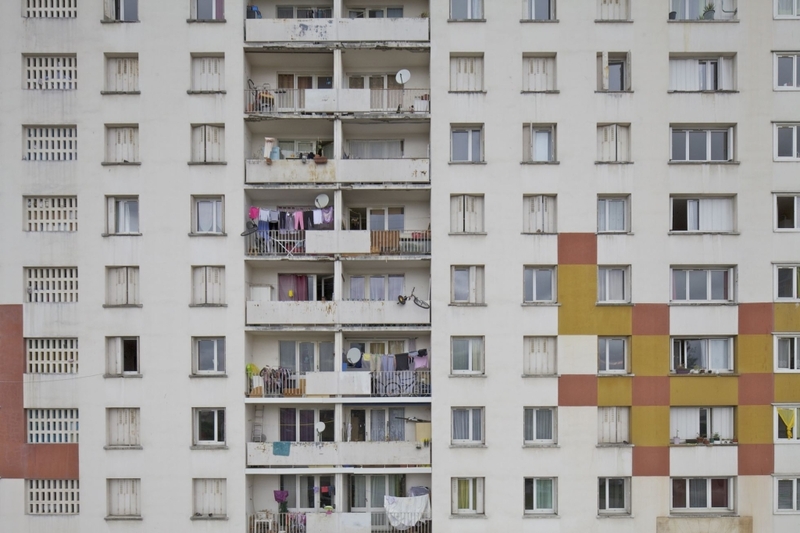 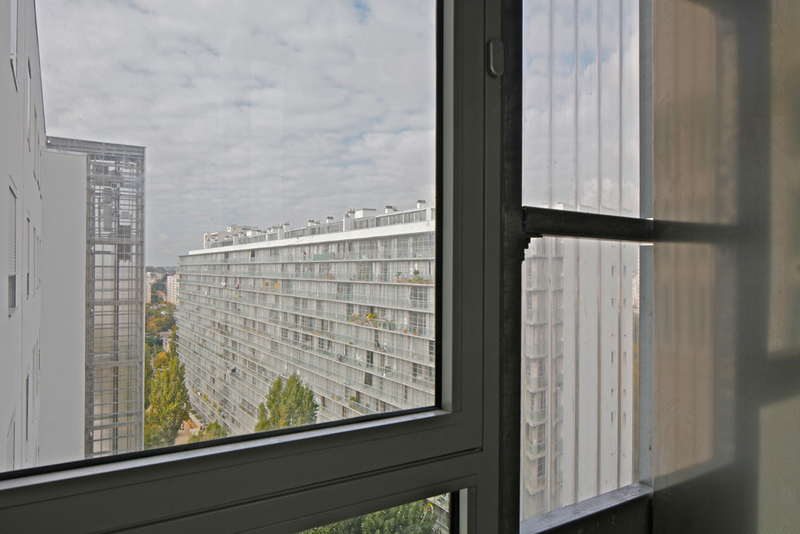 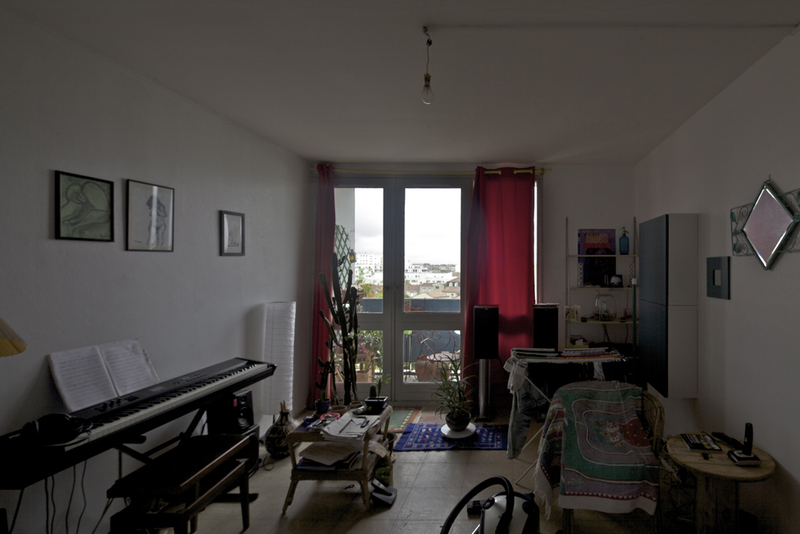 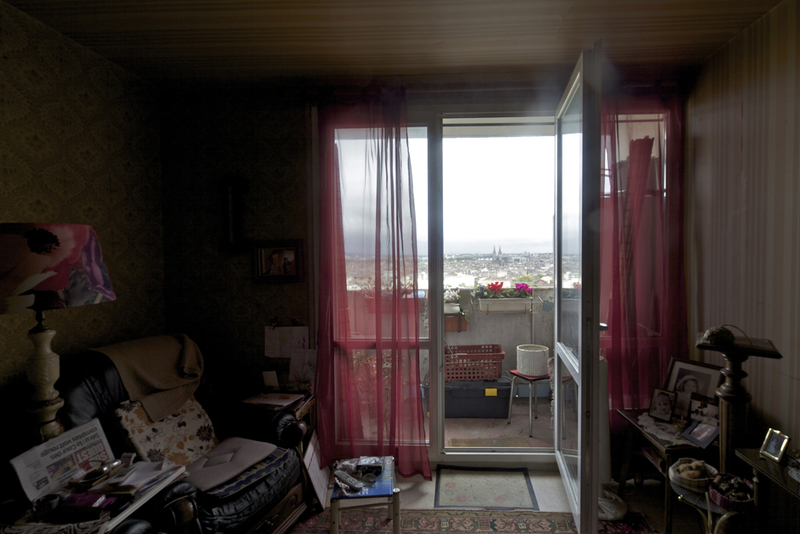 A travers ce projet, le logement "social", patrimoine immobilier souvent décrié, montre l'exemple de transformation pertinente et économe, qui produit, à partir d'existants jugés a priori sans qualités et perçus négativement, des logements généreux, confortables, performants énergétiquement, qui renouvellent les typologies et les conditions d'habiter, de confort et de plaisir, et tirent vers le haut l'habitat urbain d'aujourd'hui.